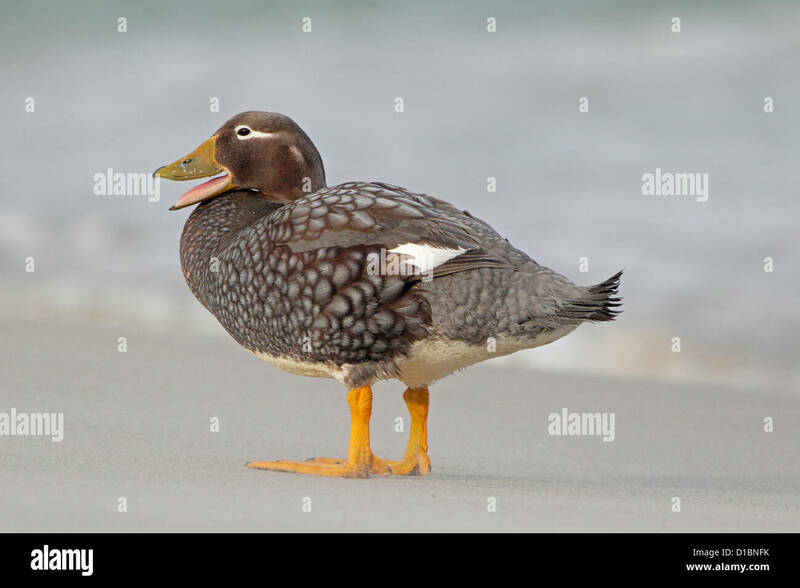 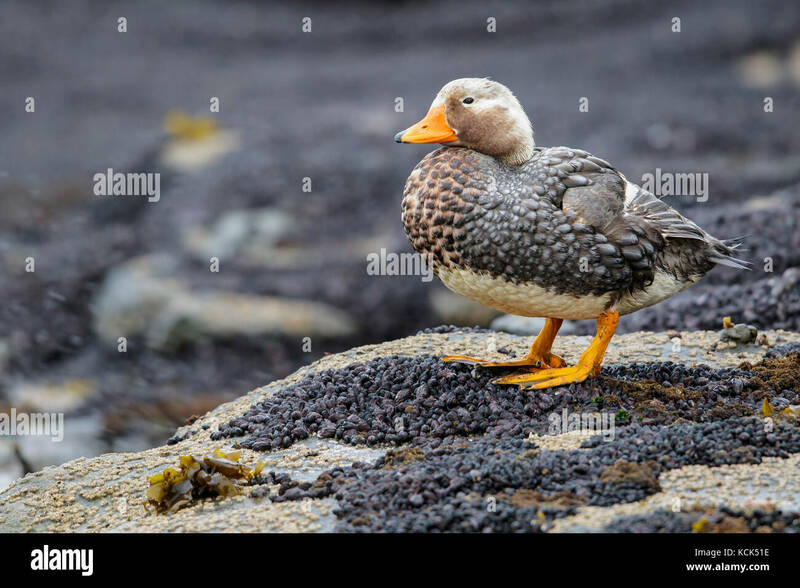 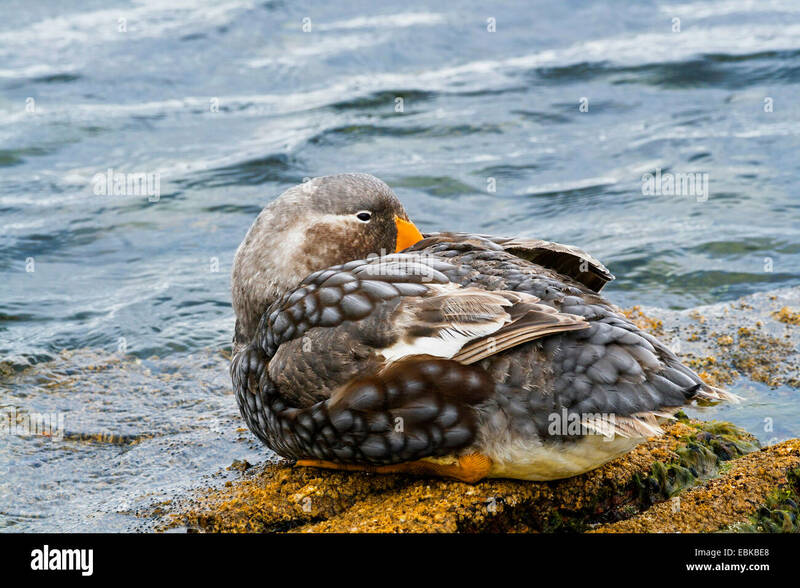 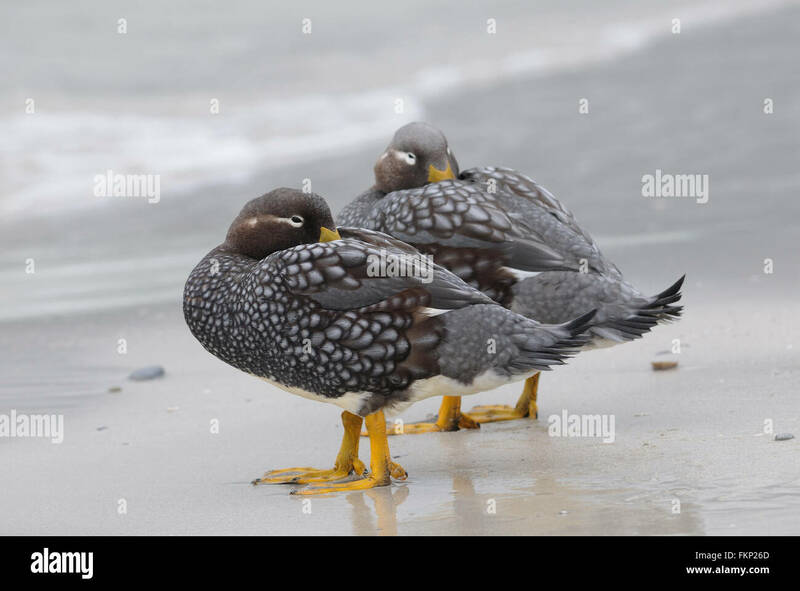 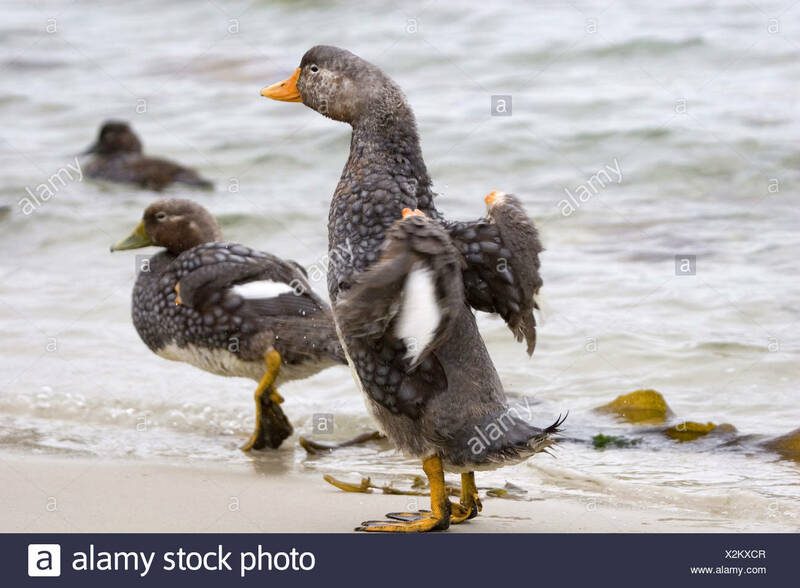 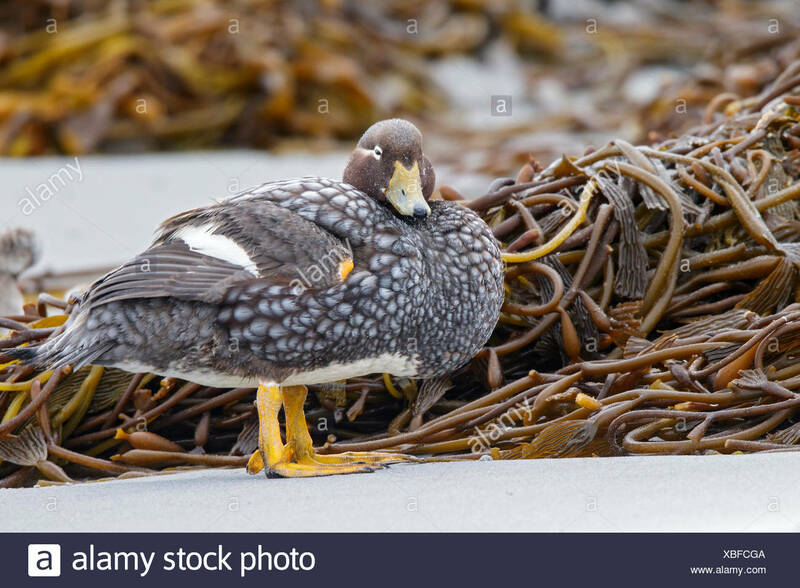 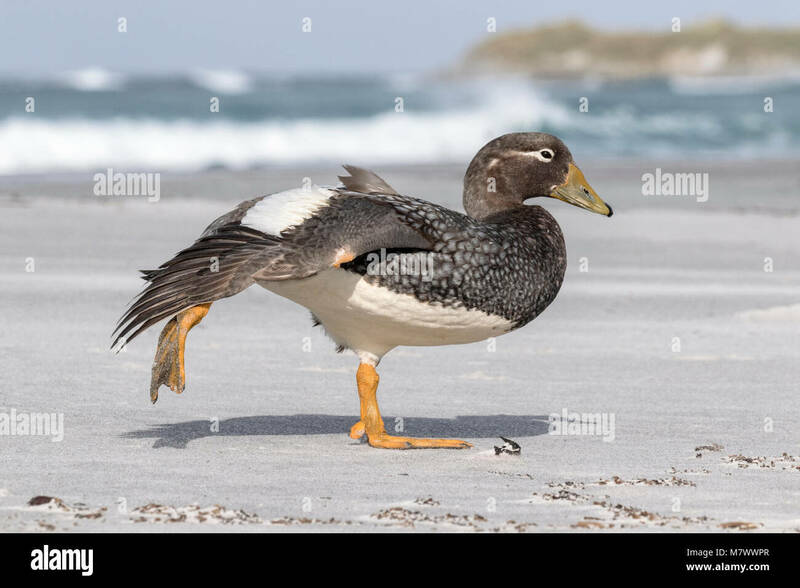 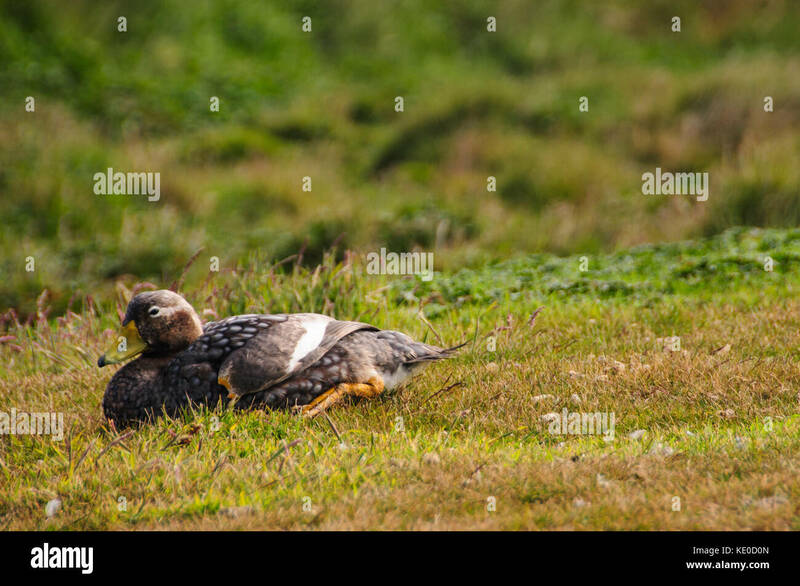 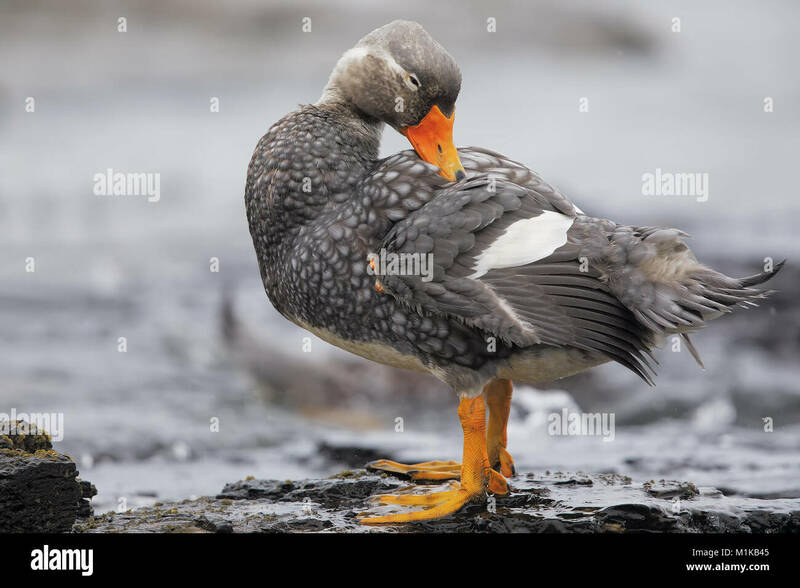 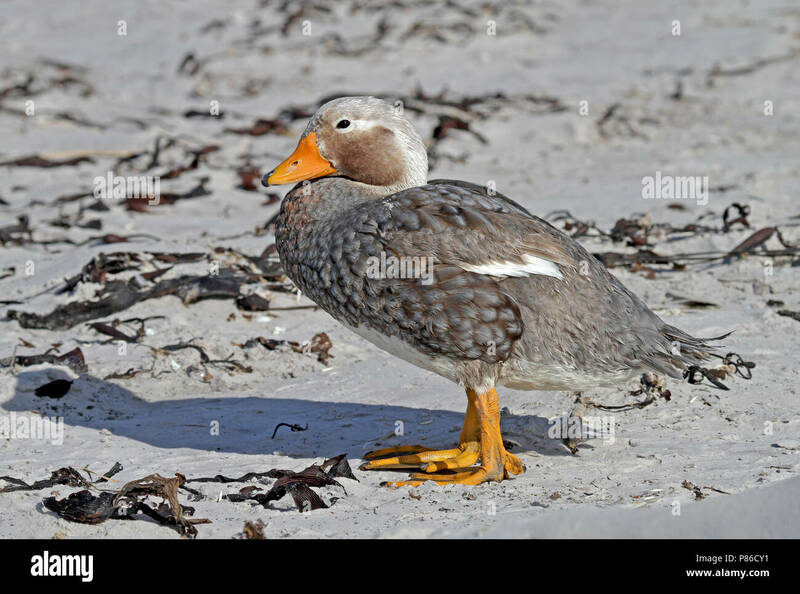 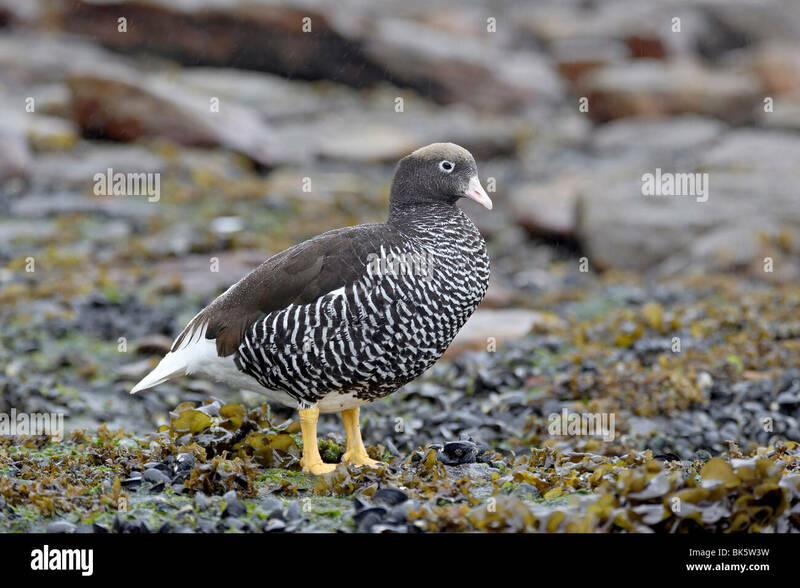 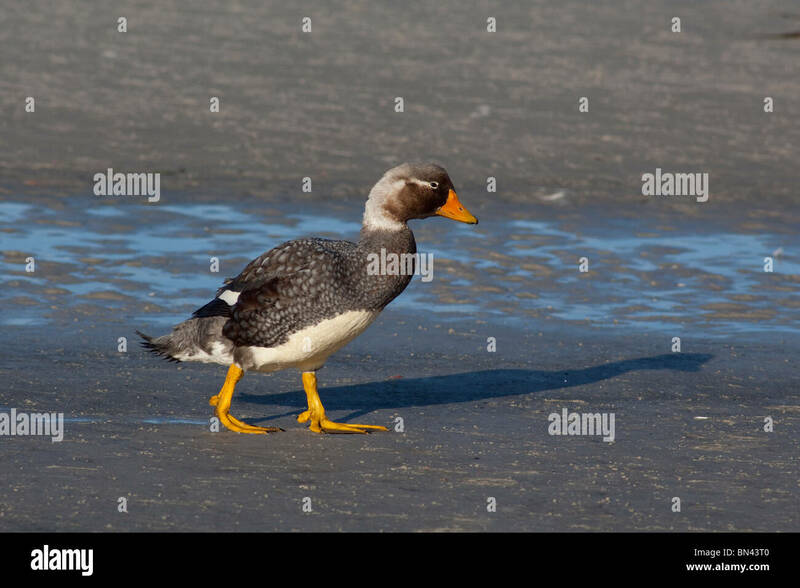 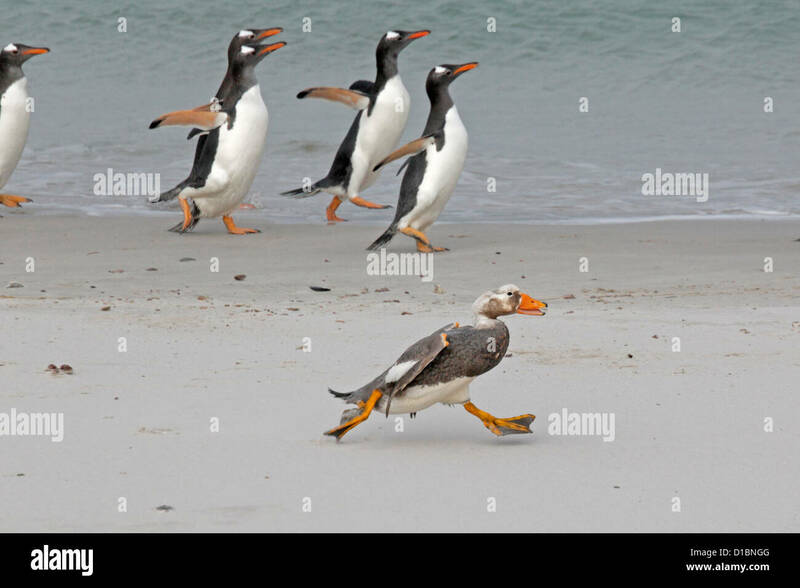 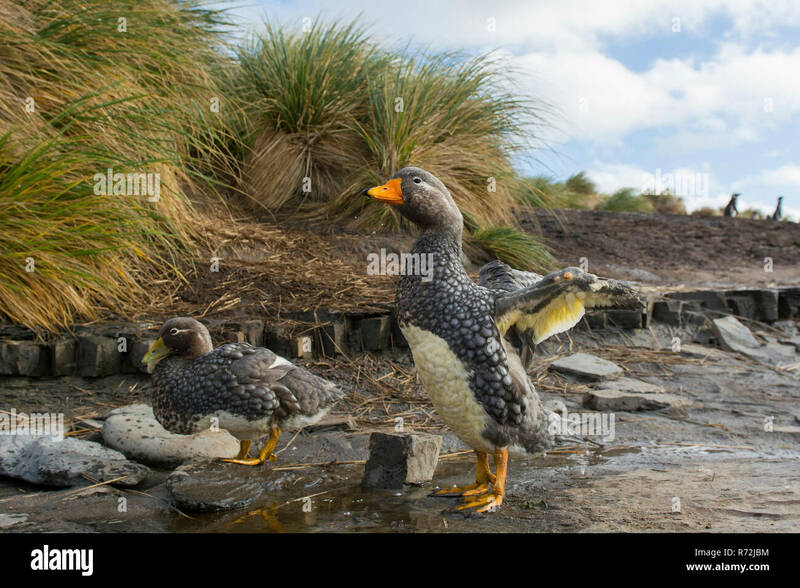 Falkland (Flightless) Steamer-Duck (Tachyeres brachypterus) in the Falkland Islands. 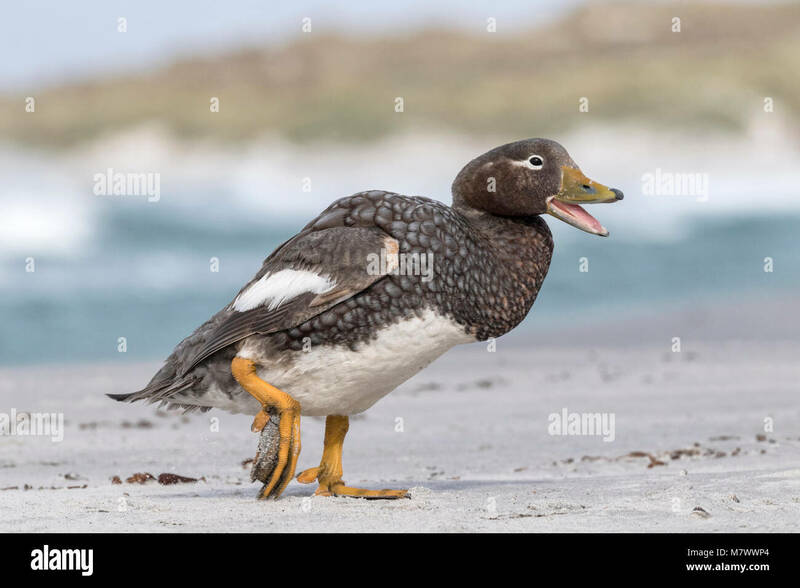 Male Falkland flightless Steamer duck (Tachyeres brachypterus) endemic to the Falkland Islands. 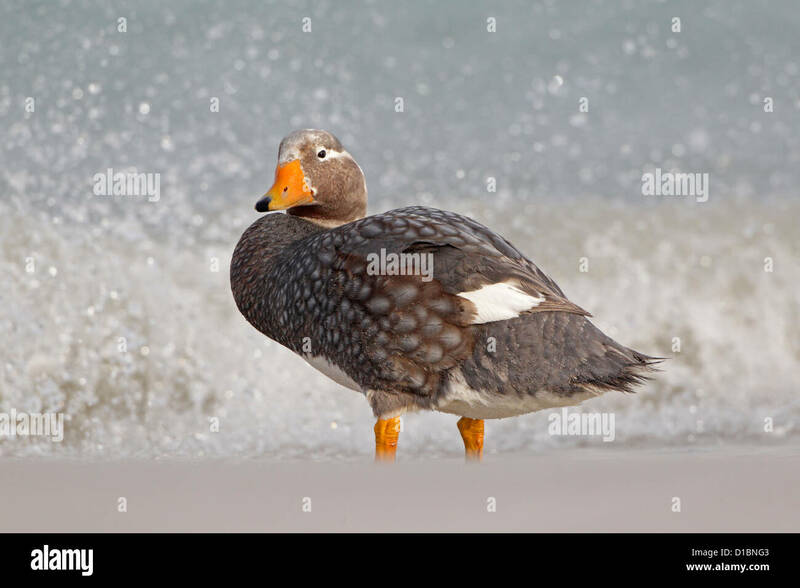 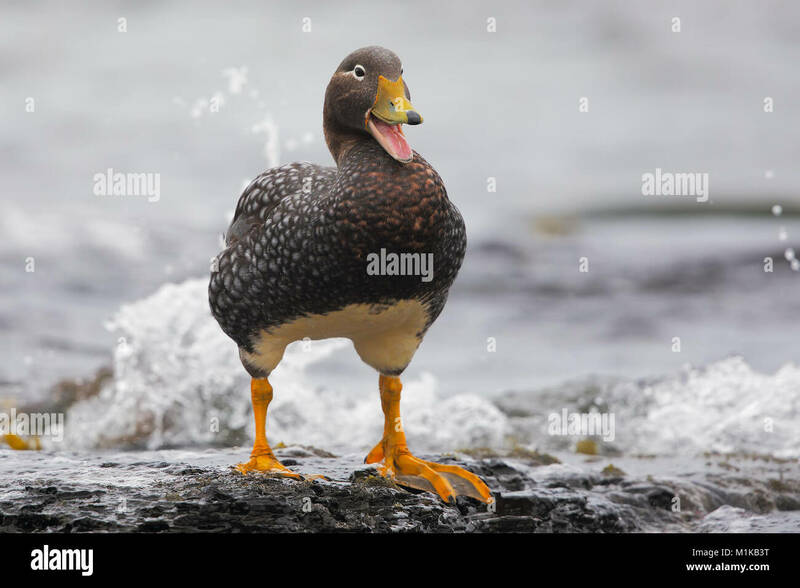 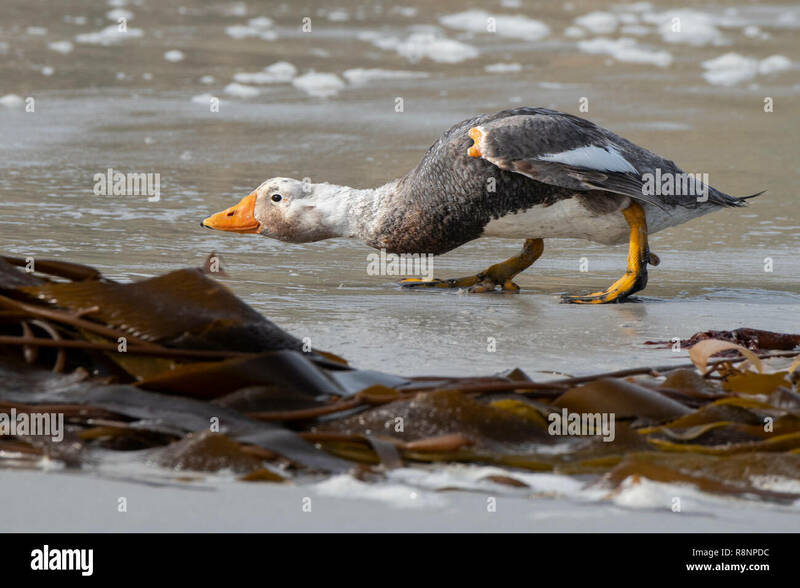 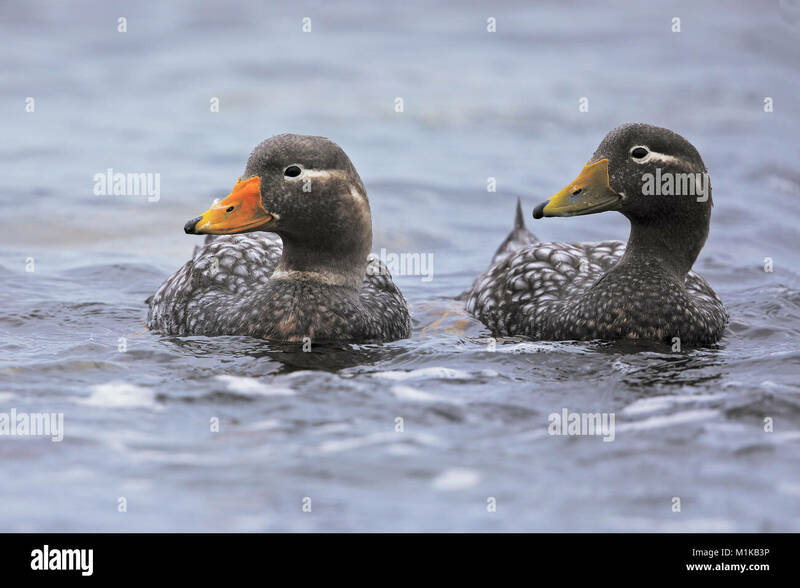 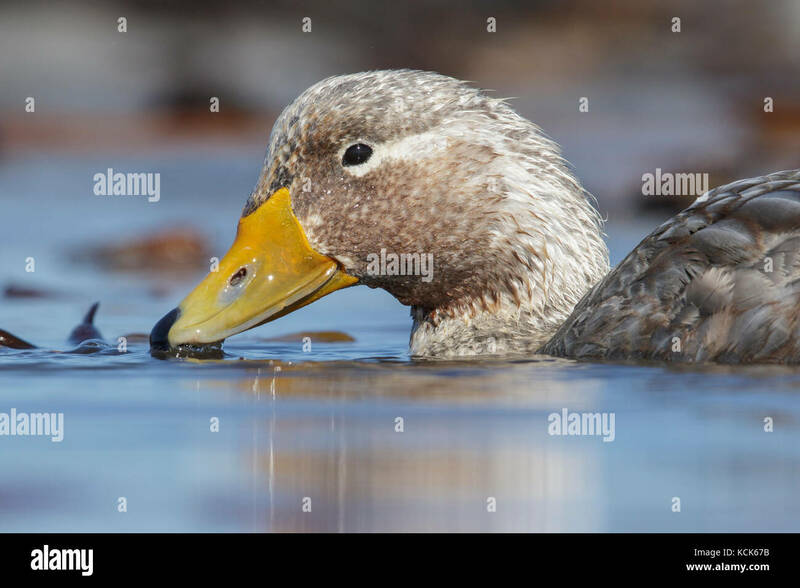 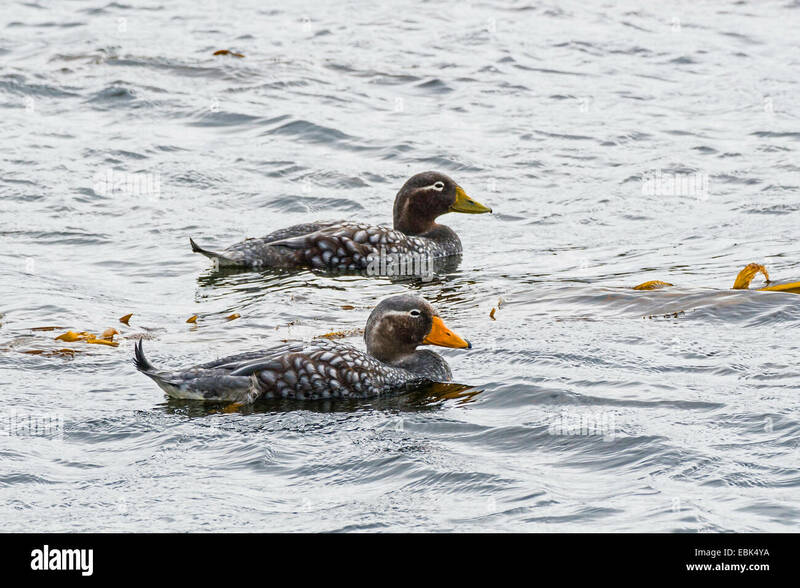 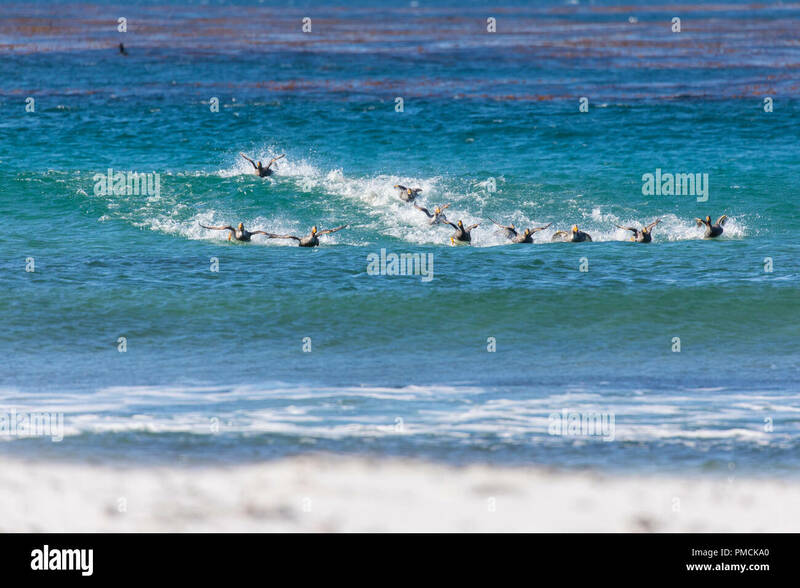 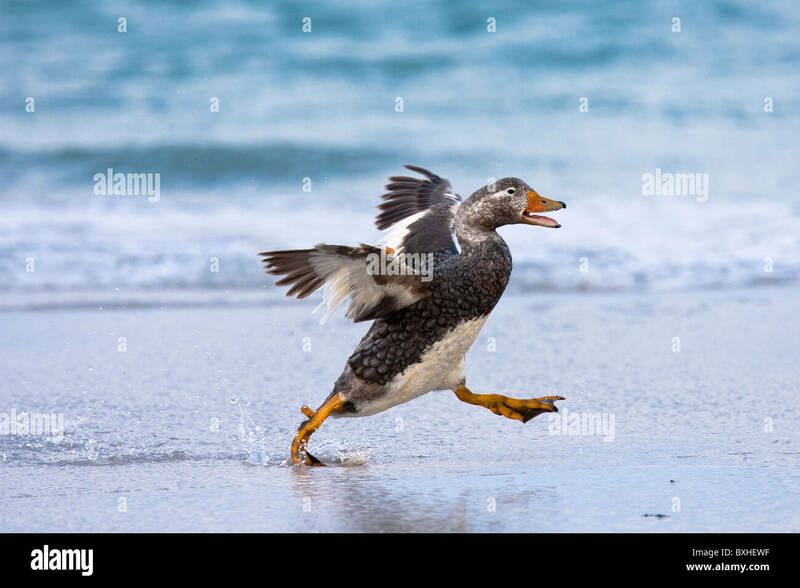 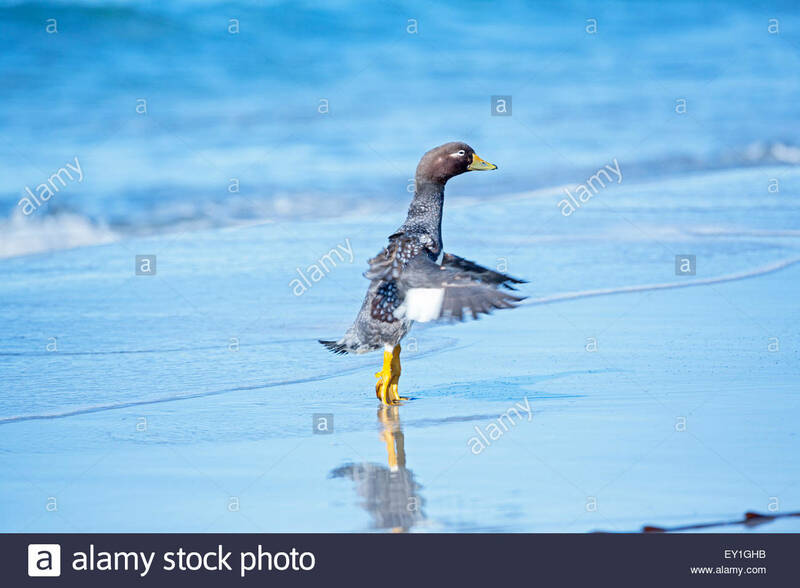 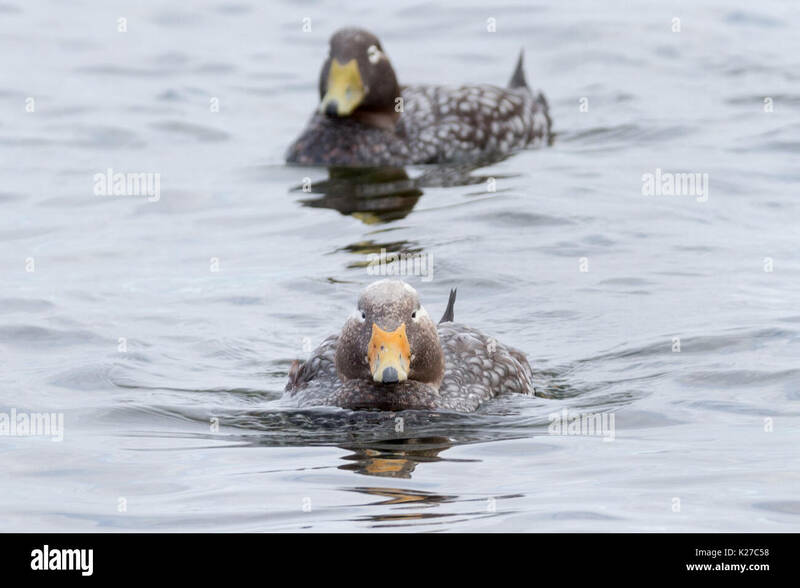 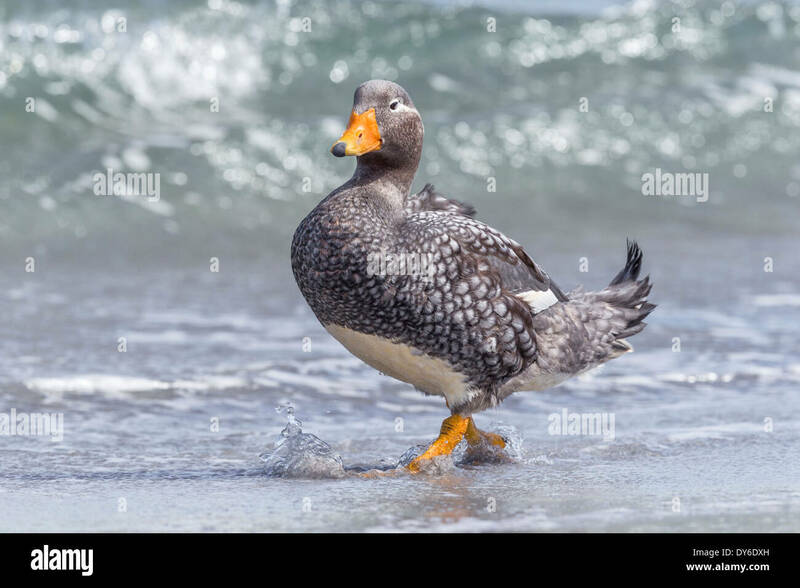 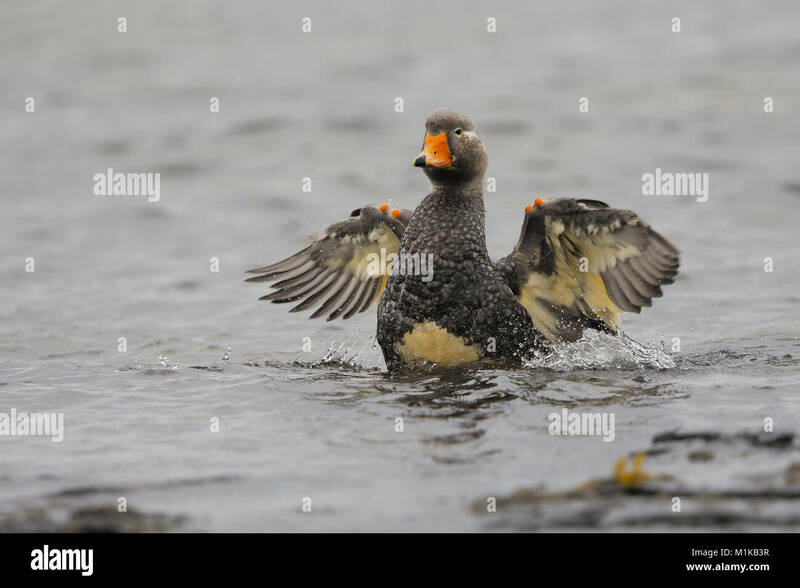 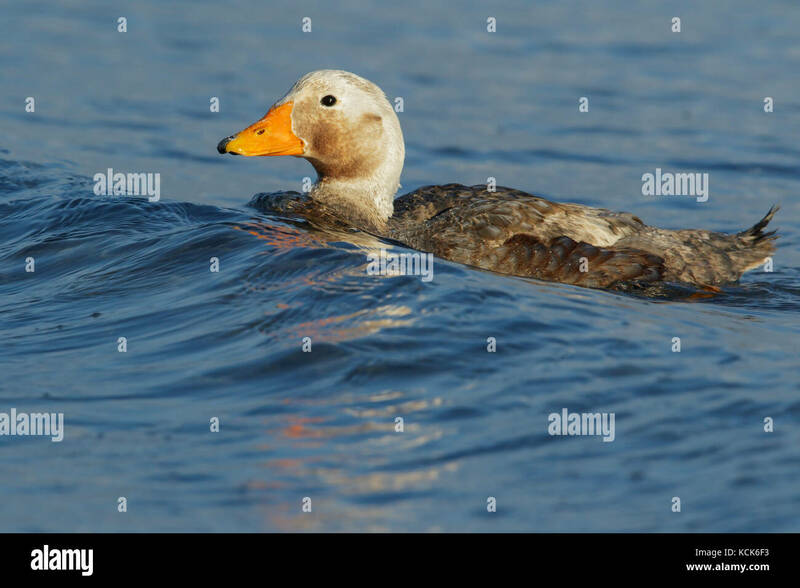 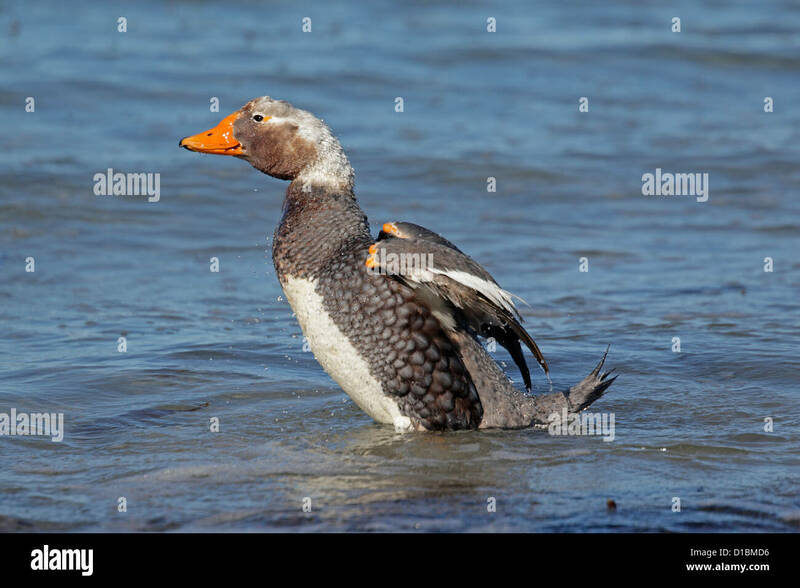 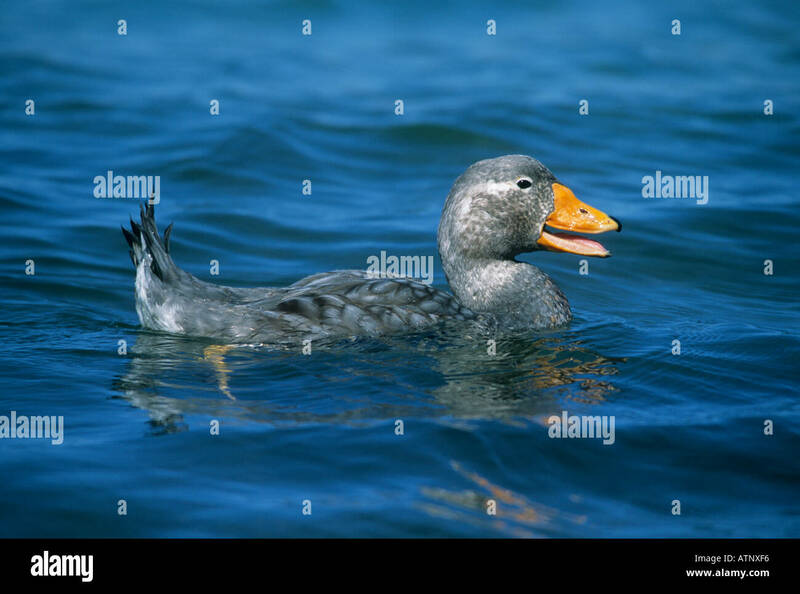 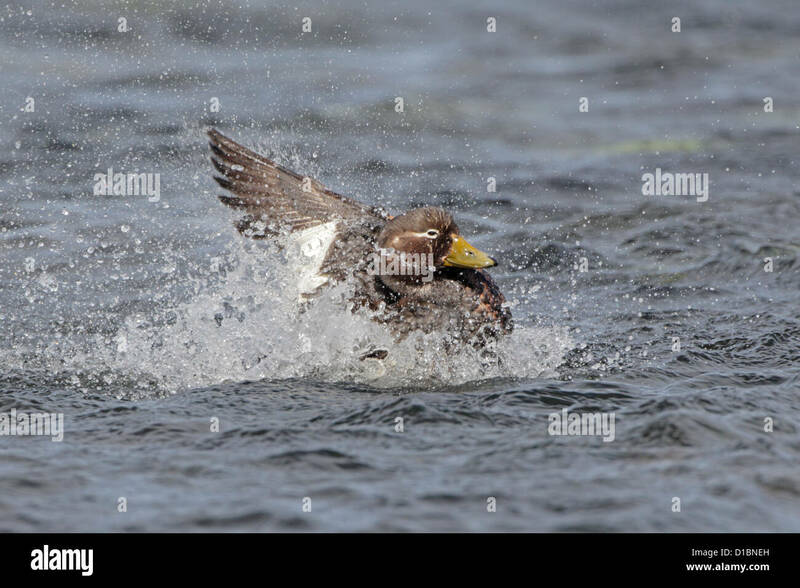 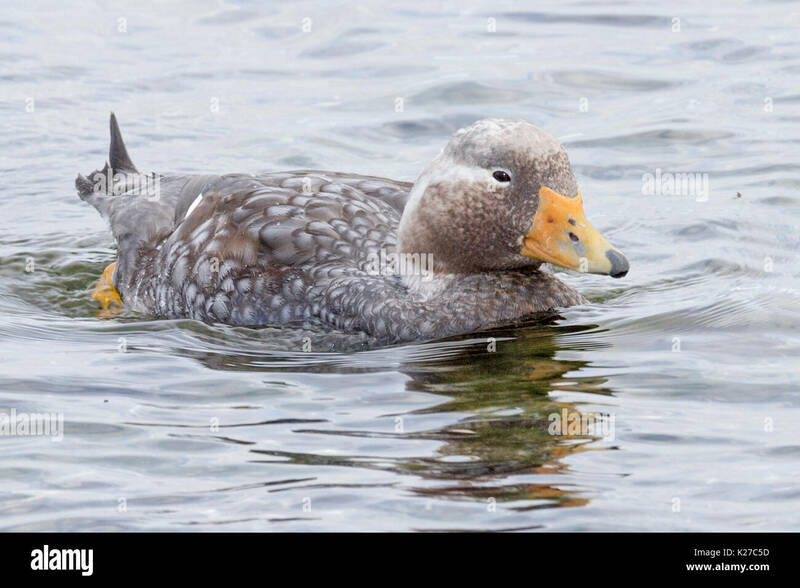 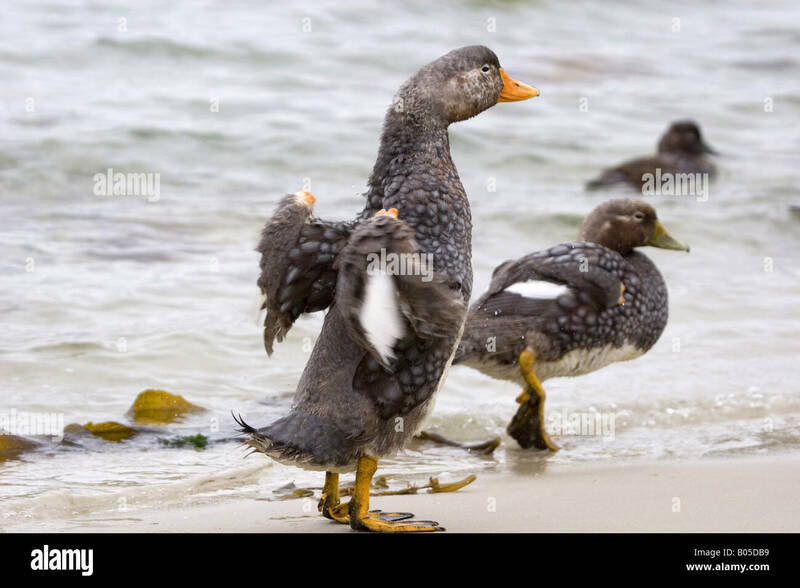 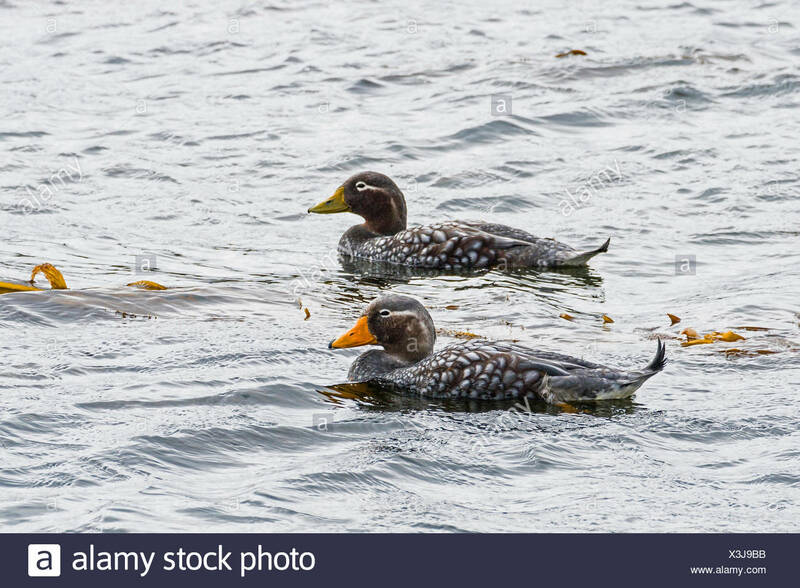 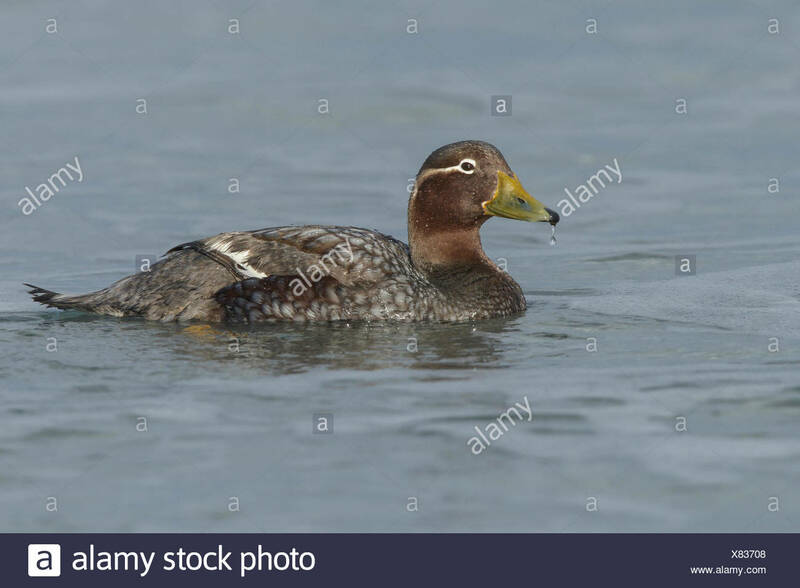 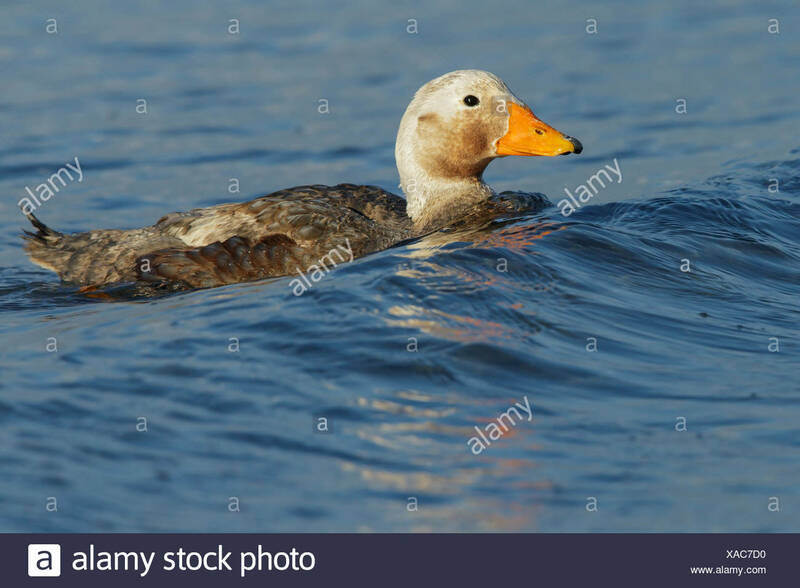 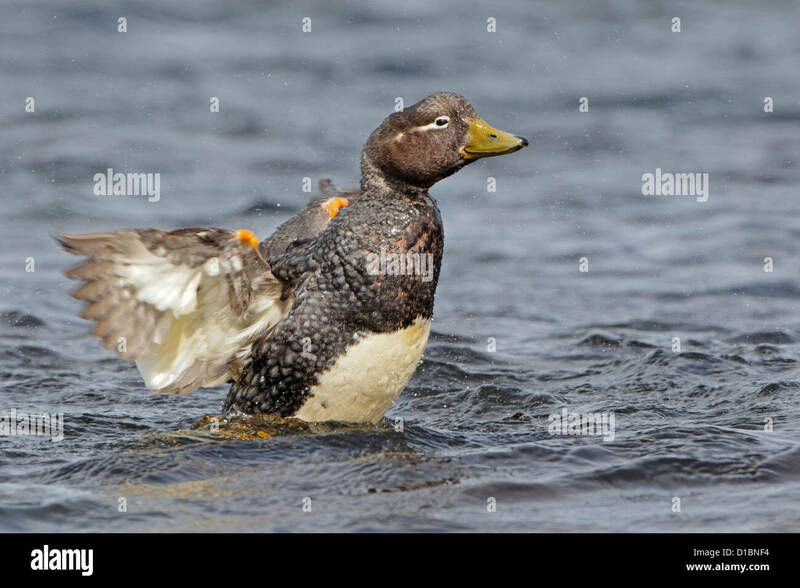 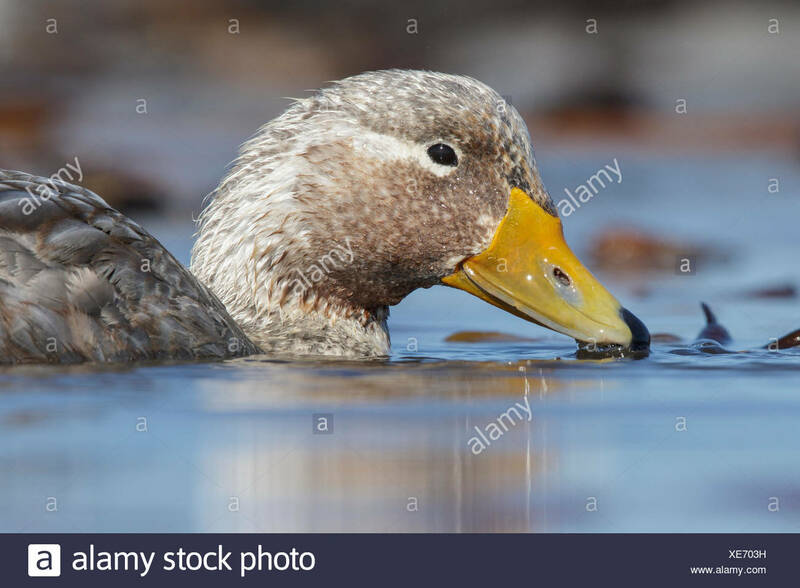 Falkland (Flightless) Steamer-Duck (Tachyeres brachypterus) swimming in the ocean in the Falkland Islands. 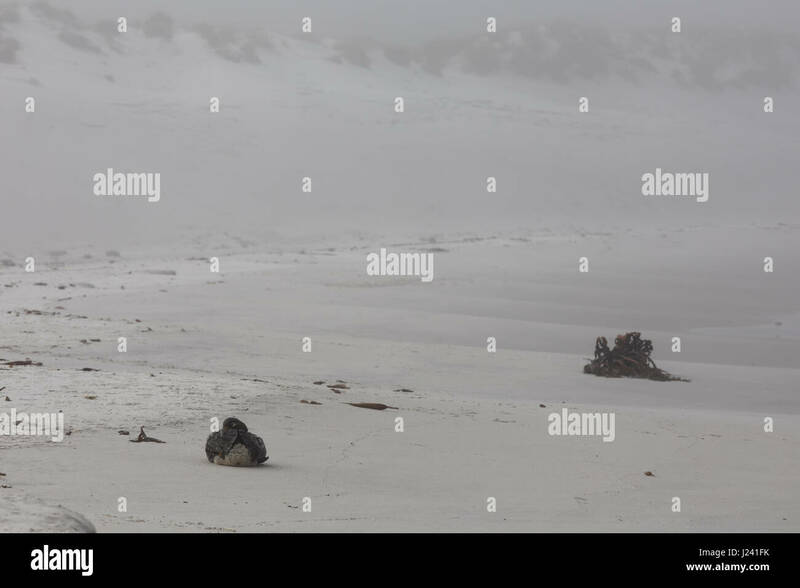 Falkland Islands; Sea Lion Island. 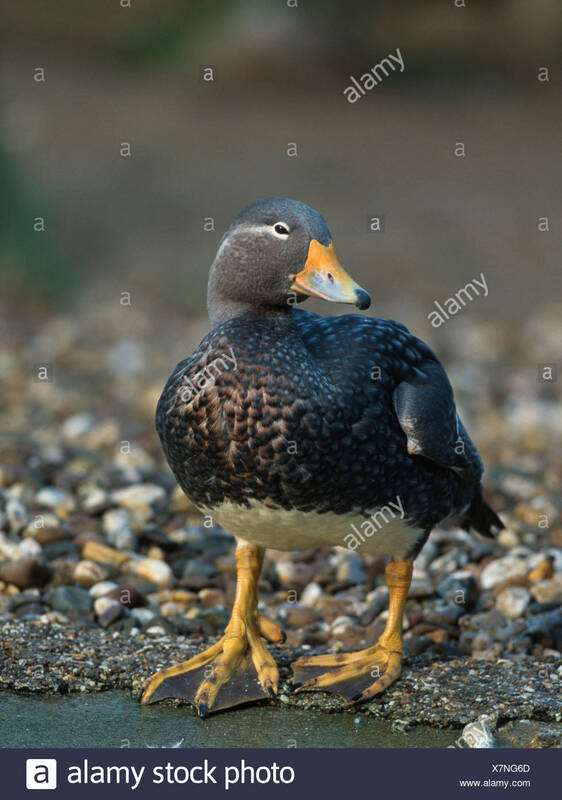 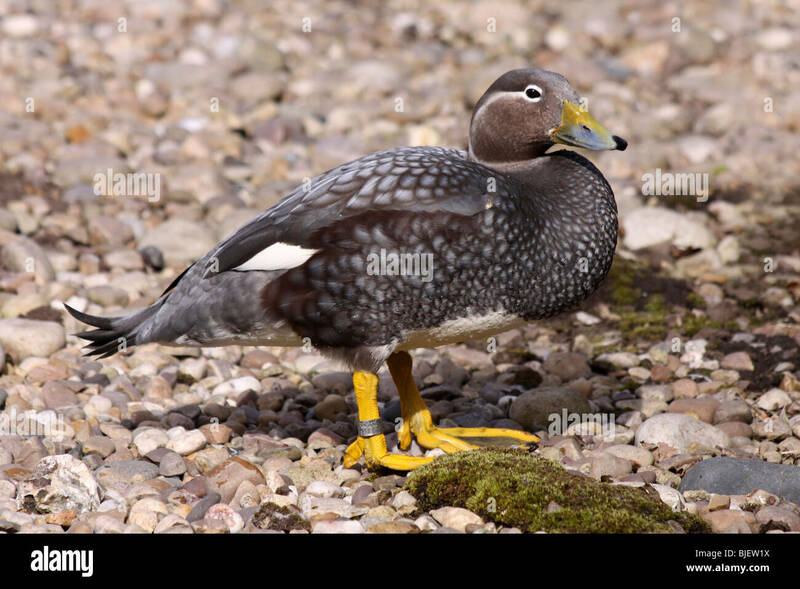 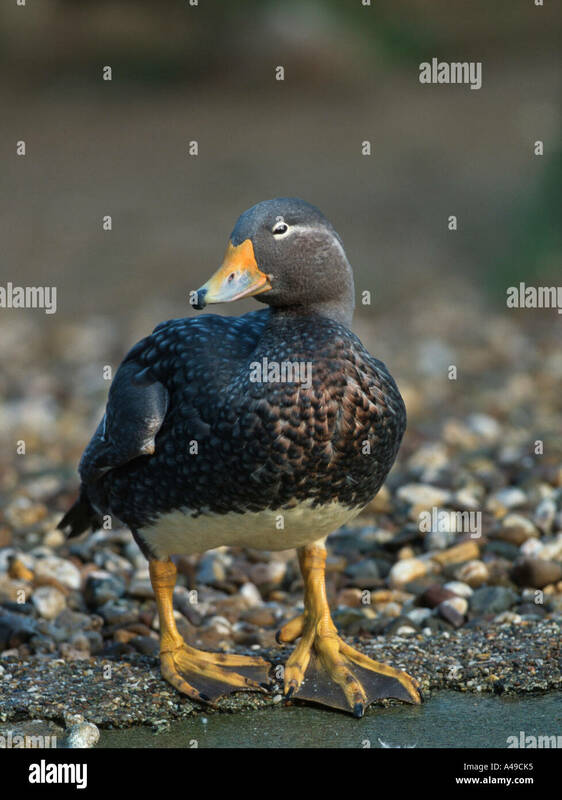 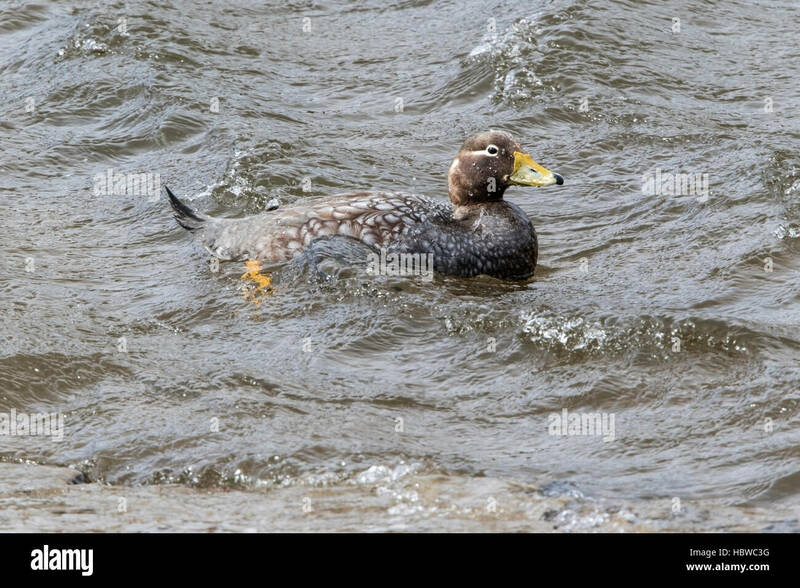 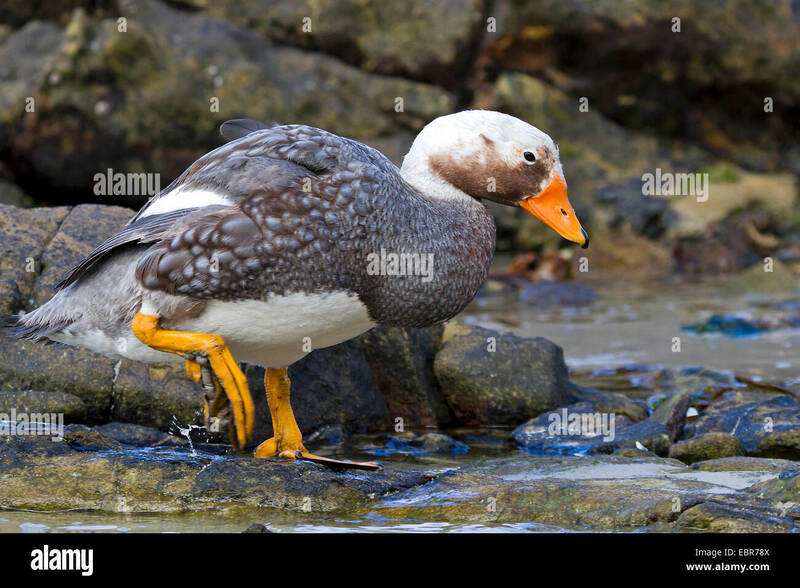 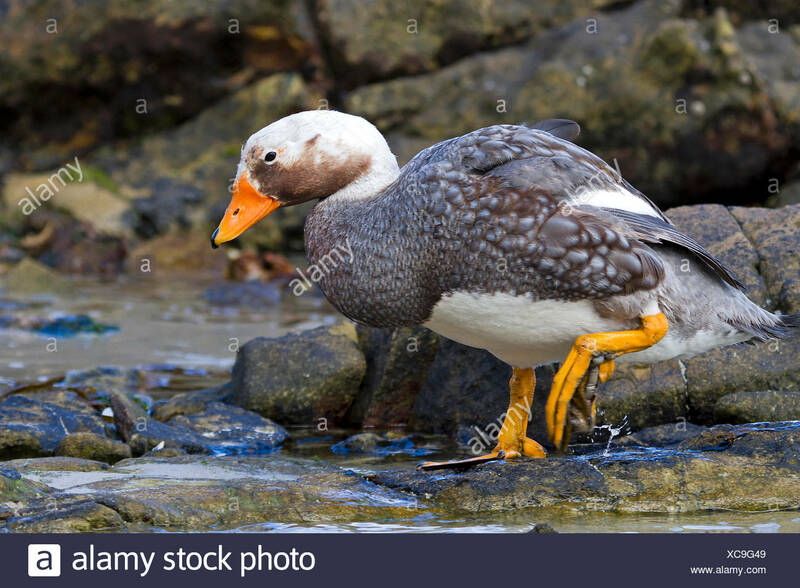 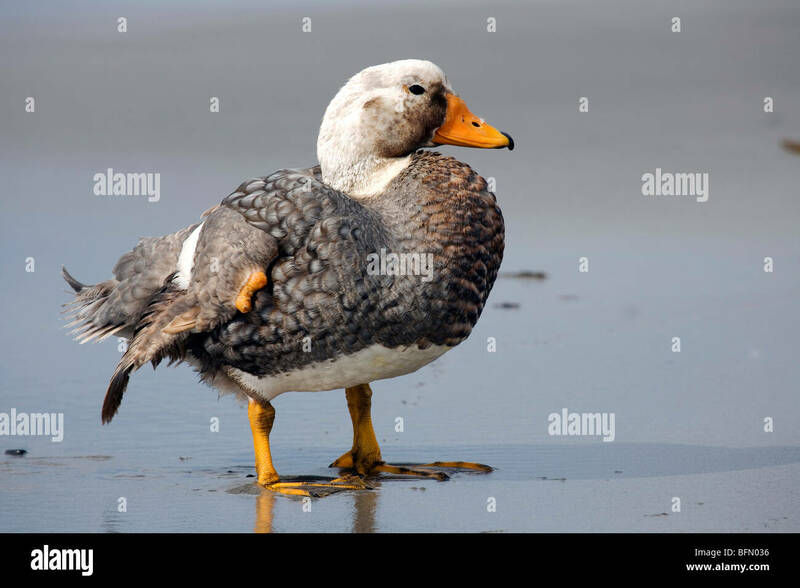 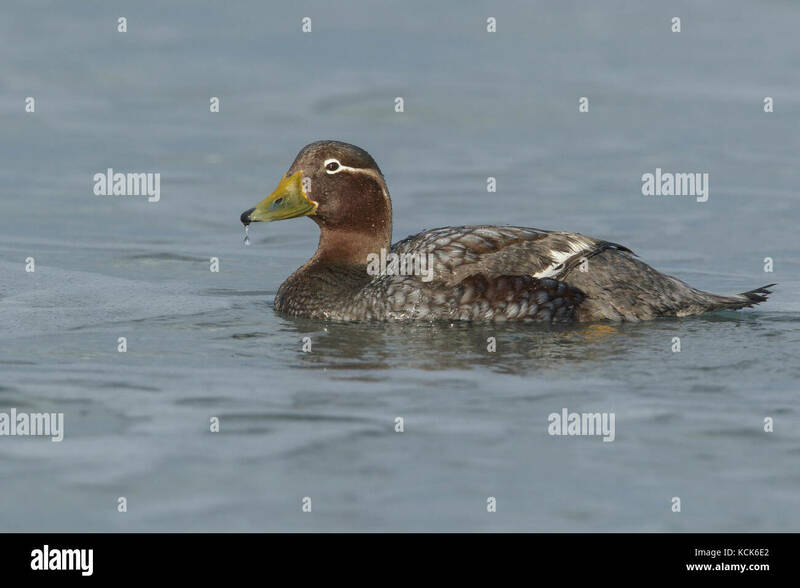 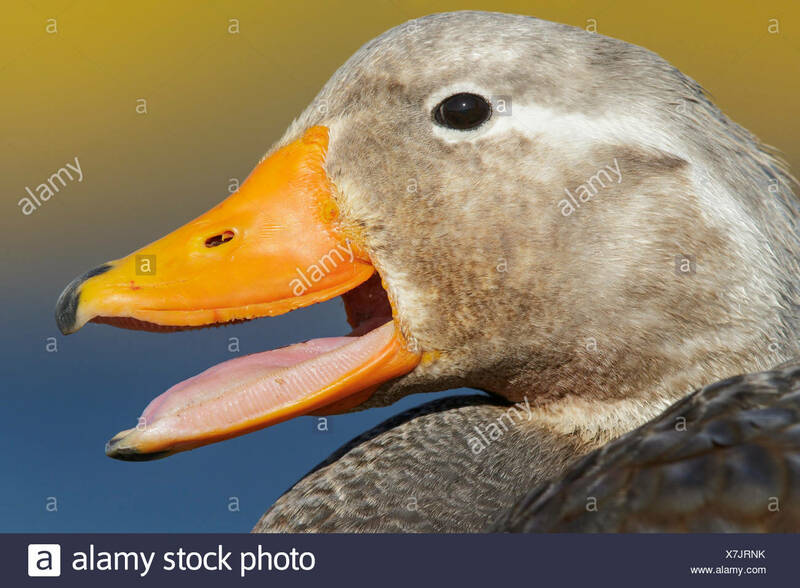 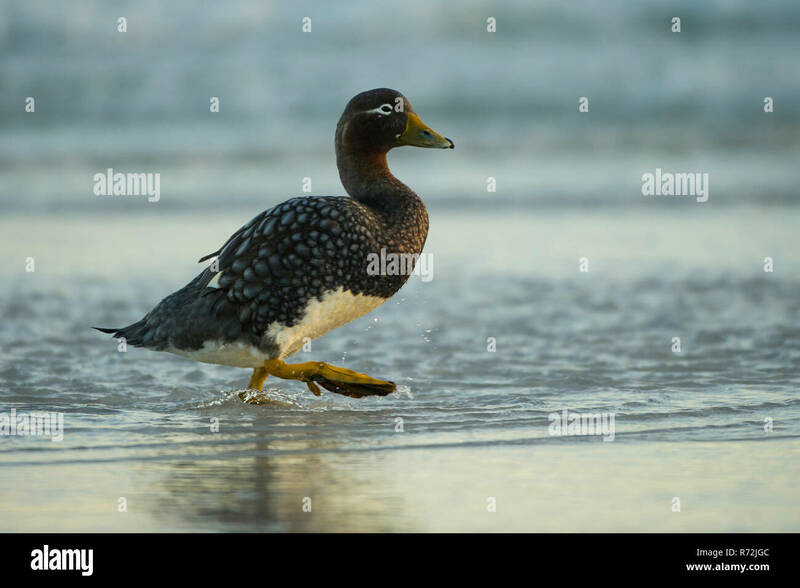 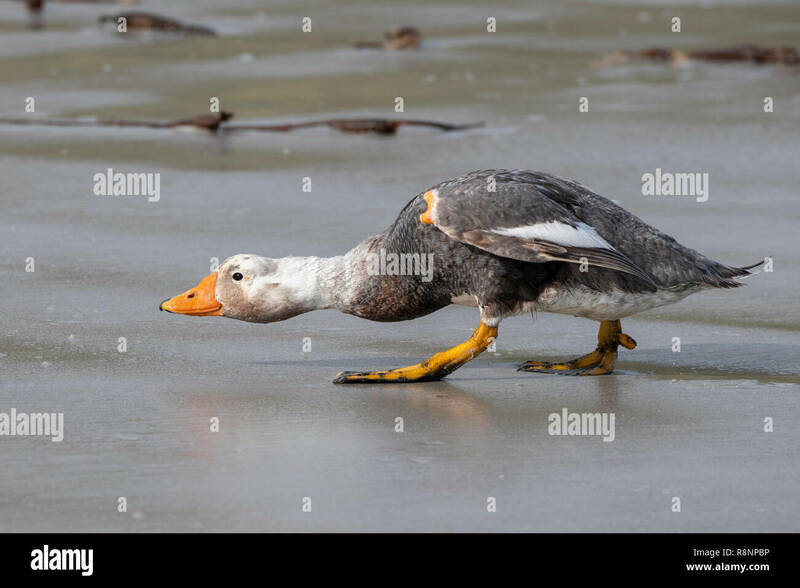 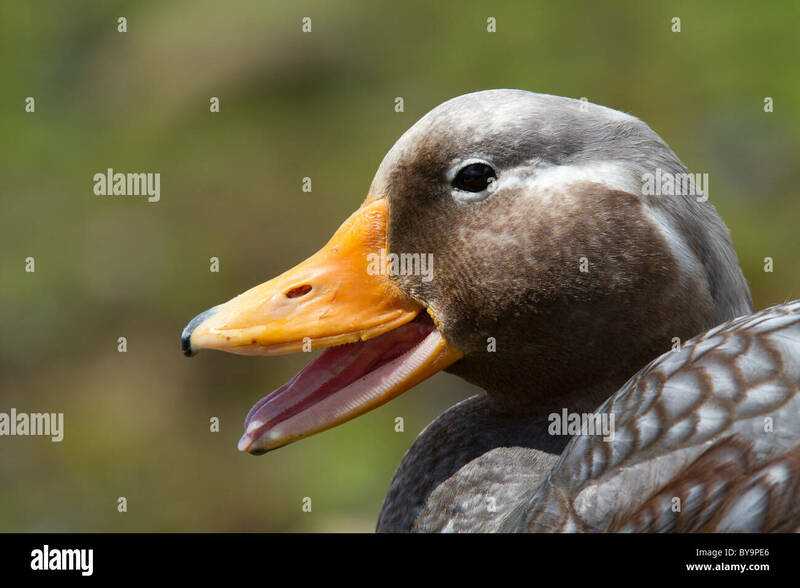 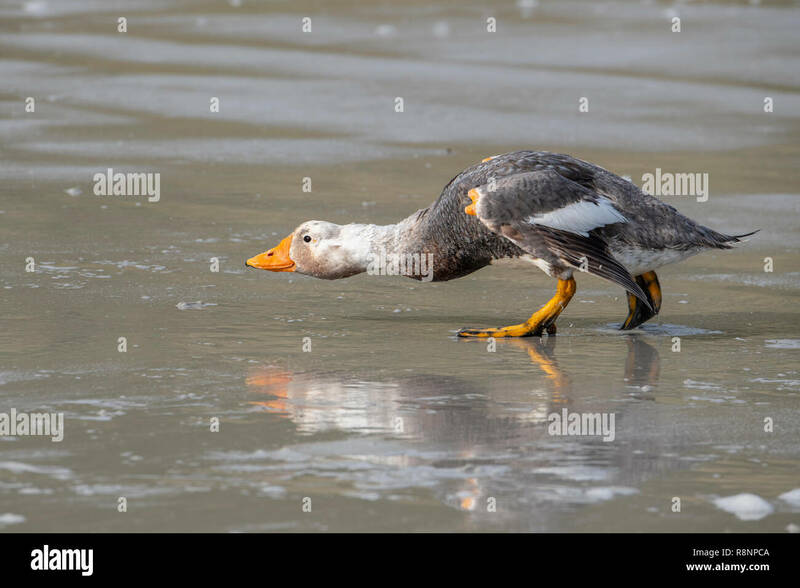 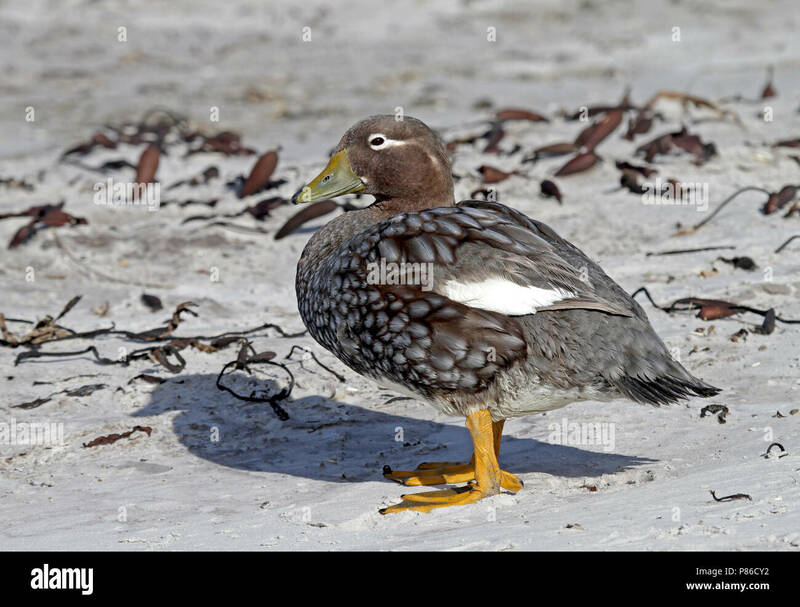 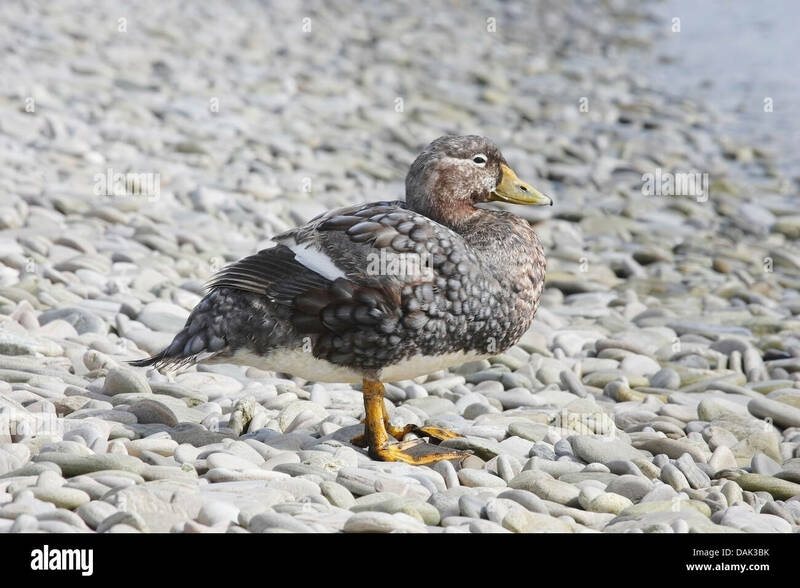 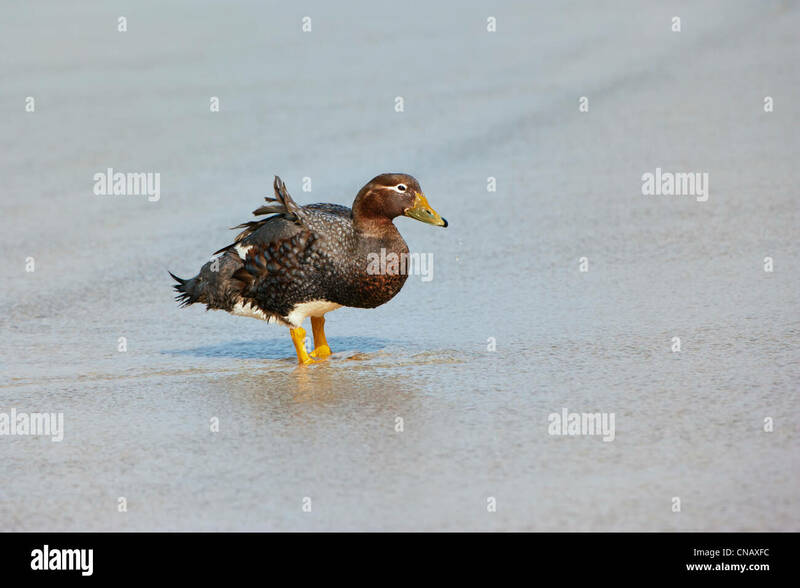 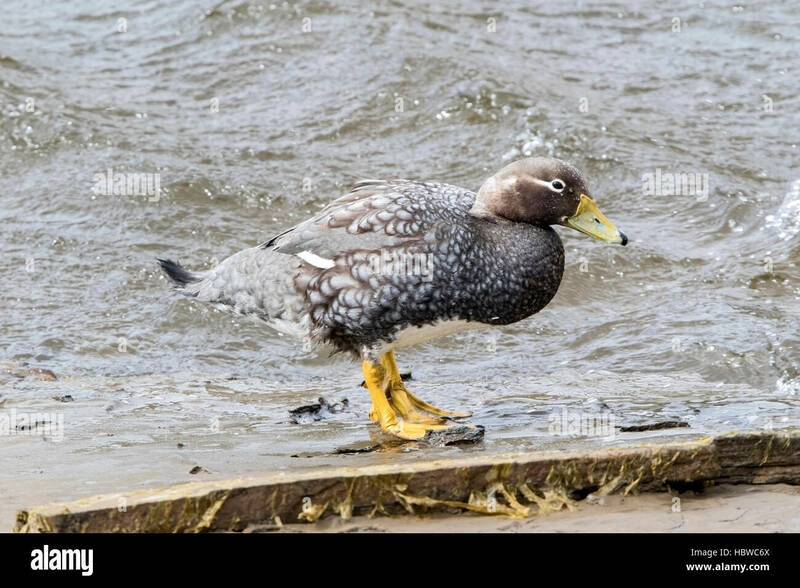 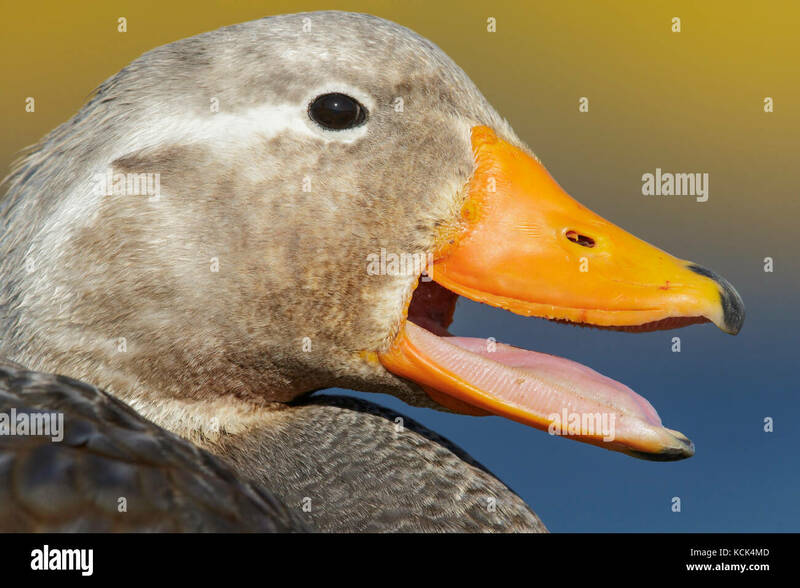 Male flightless steamer duck. 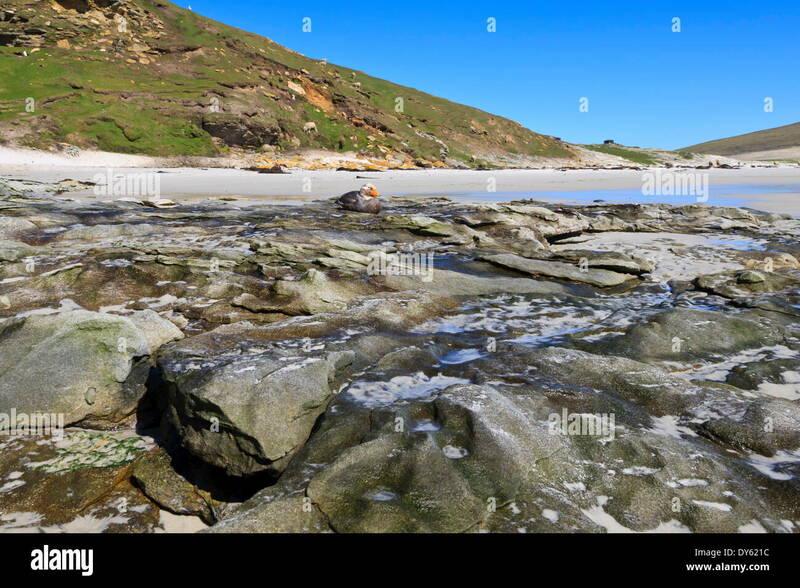 Falkland Islands; Sea Lion Island. 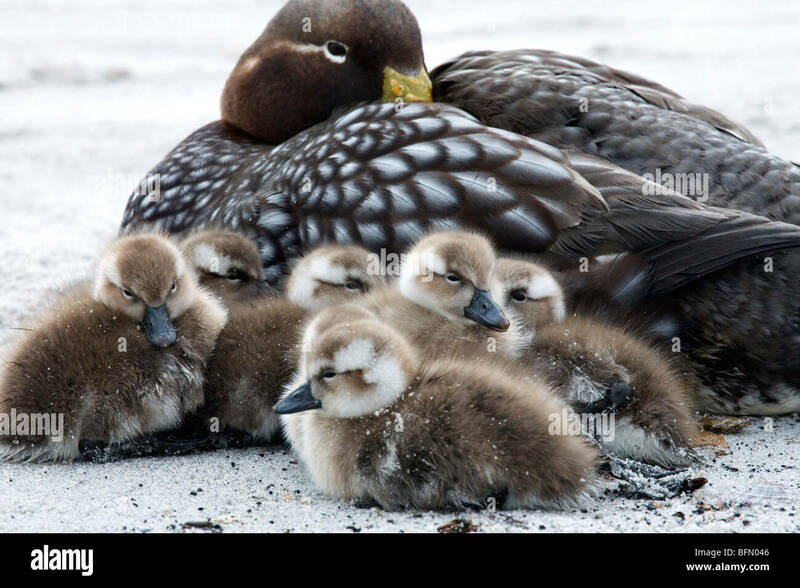 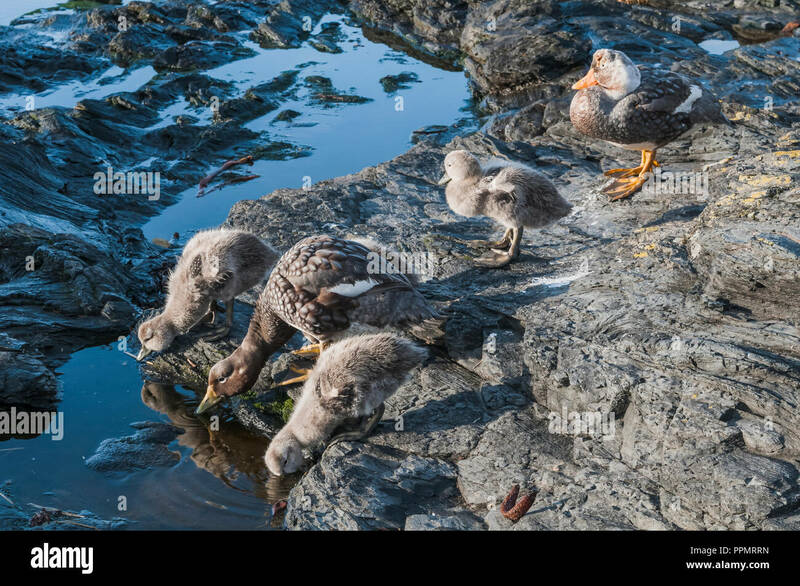 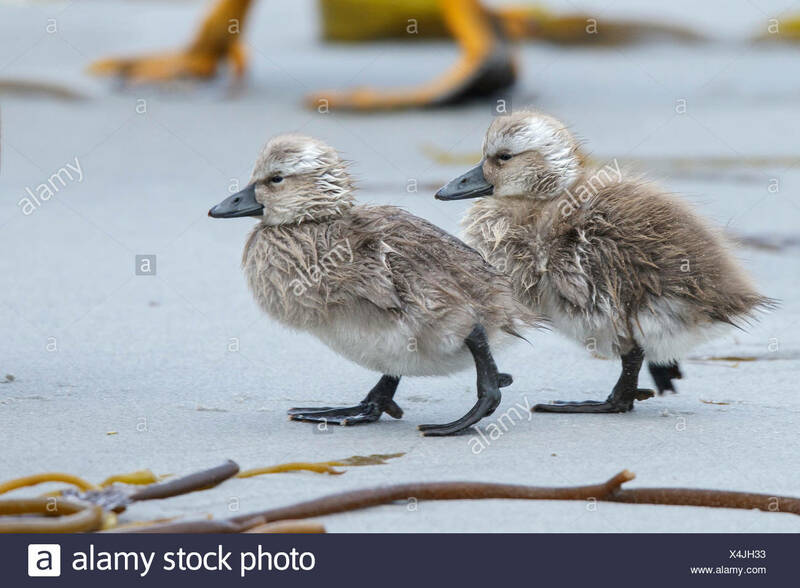 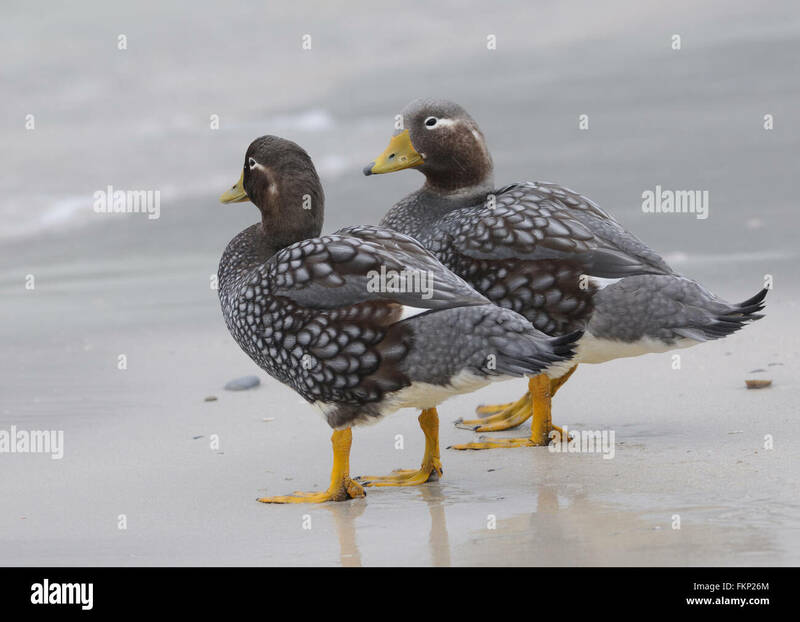 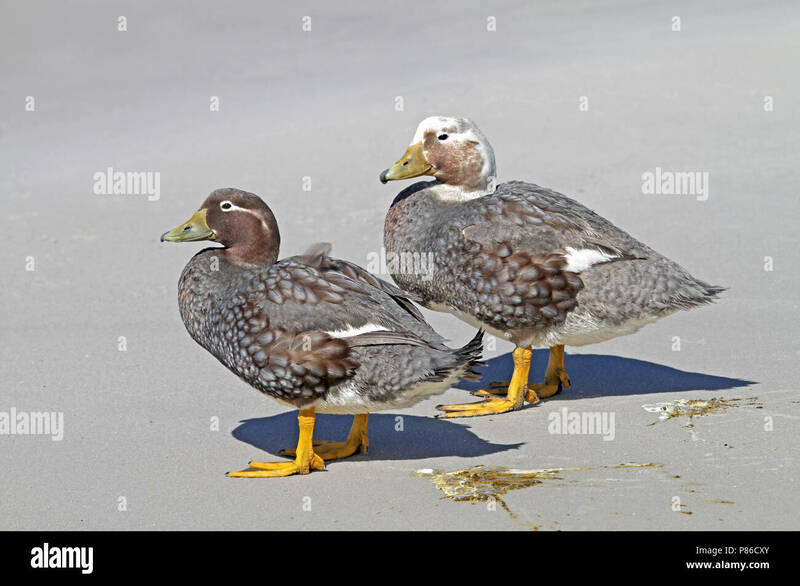 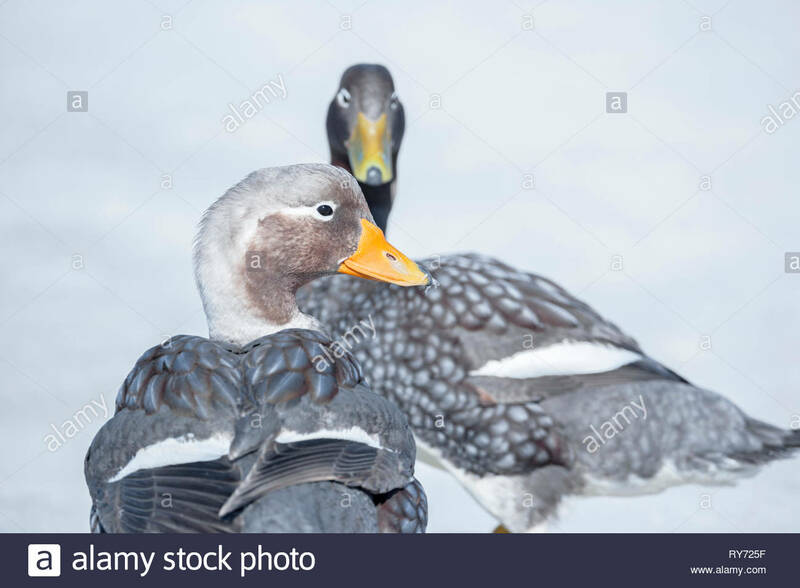 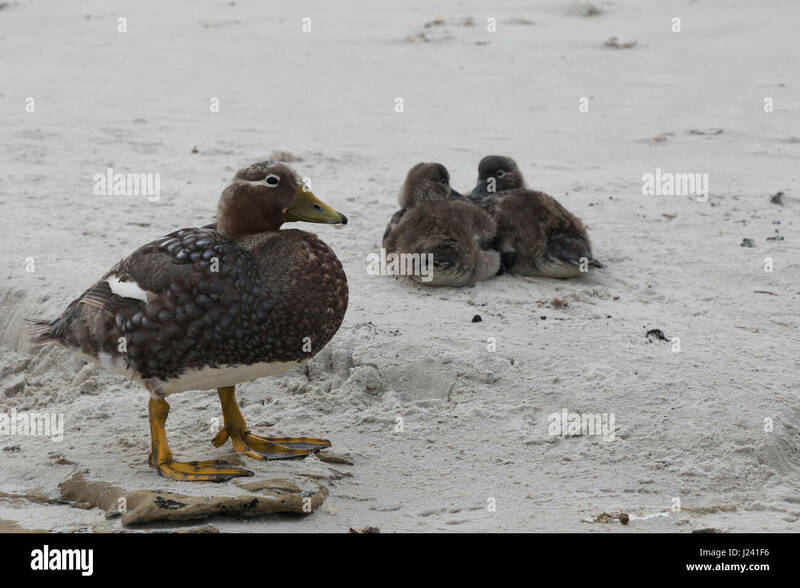 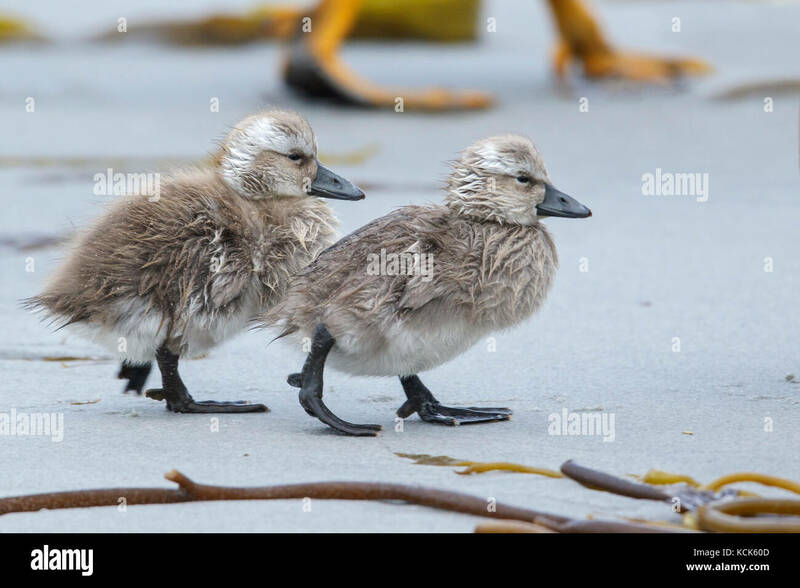 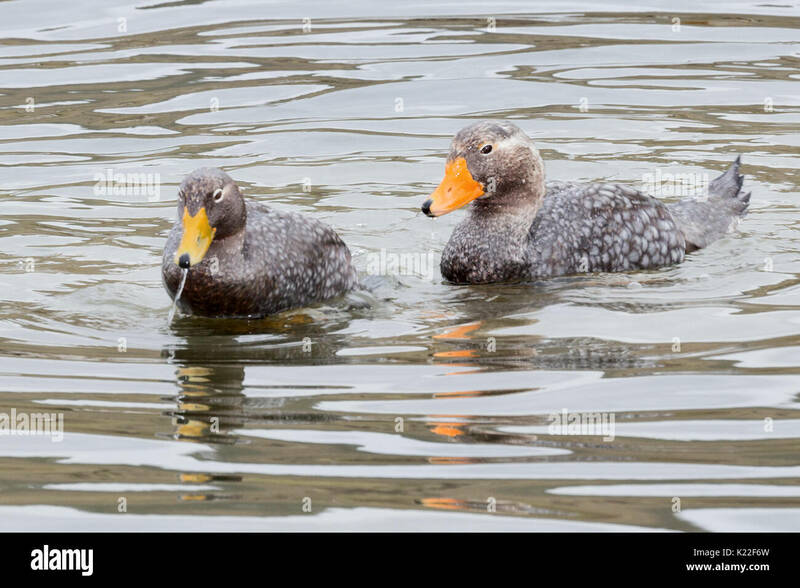 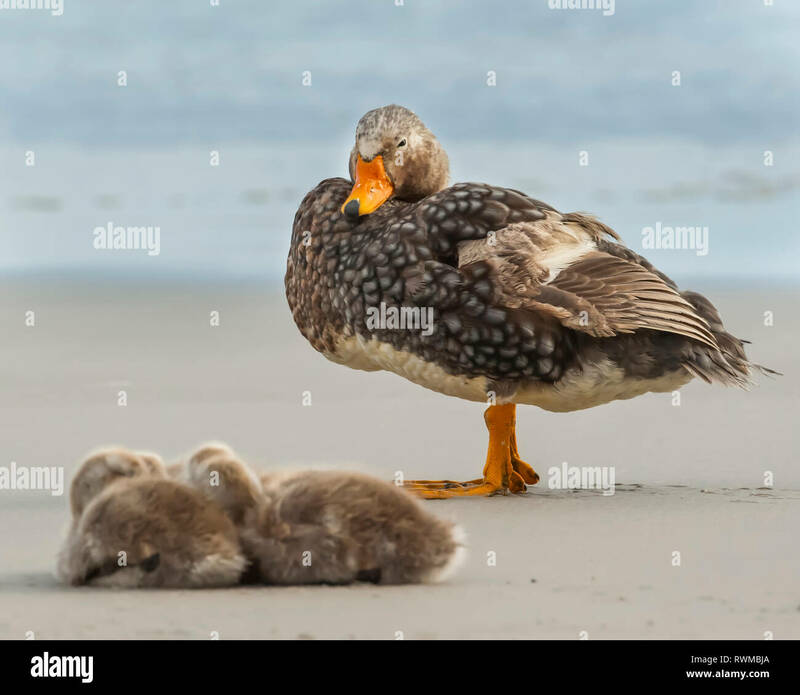 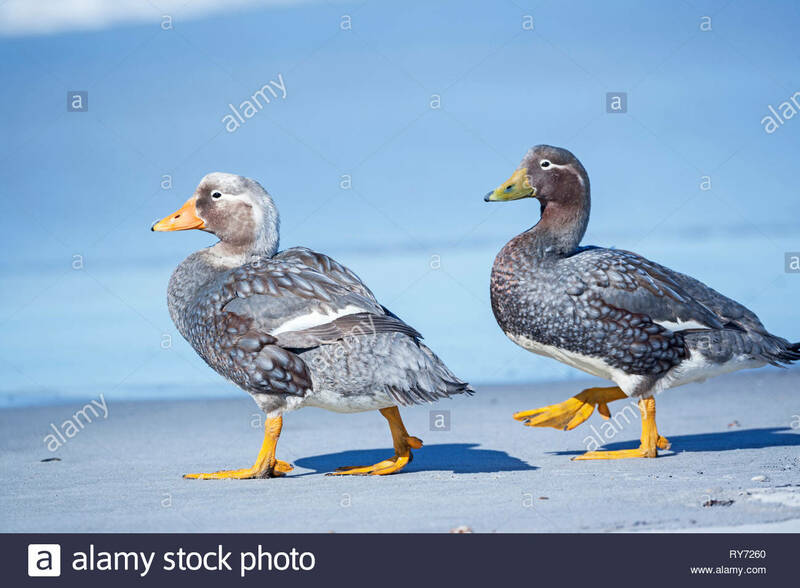 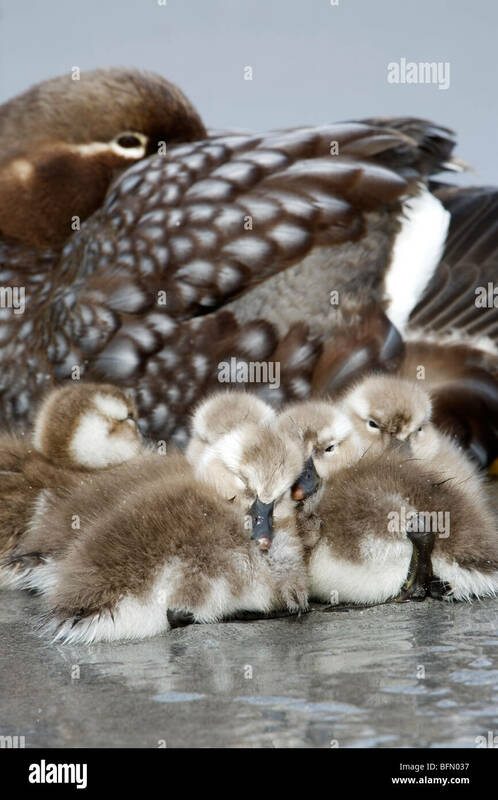 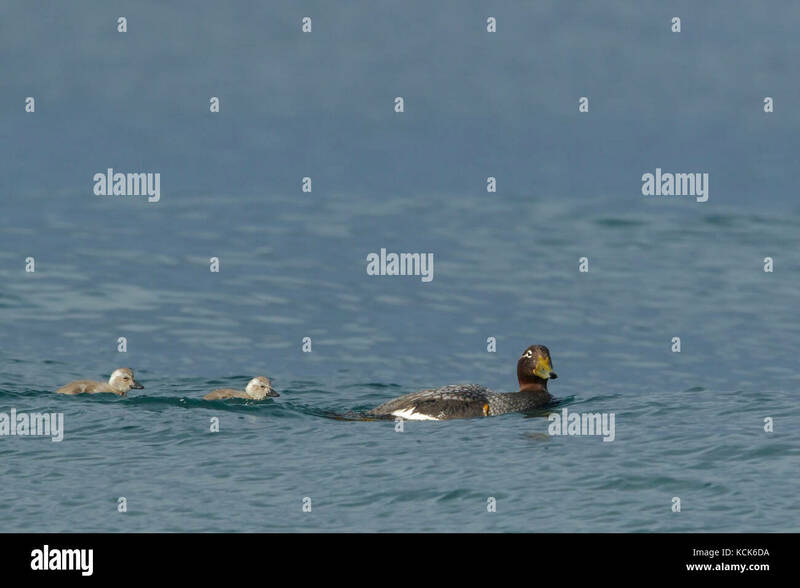 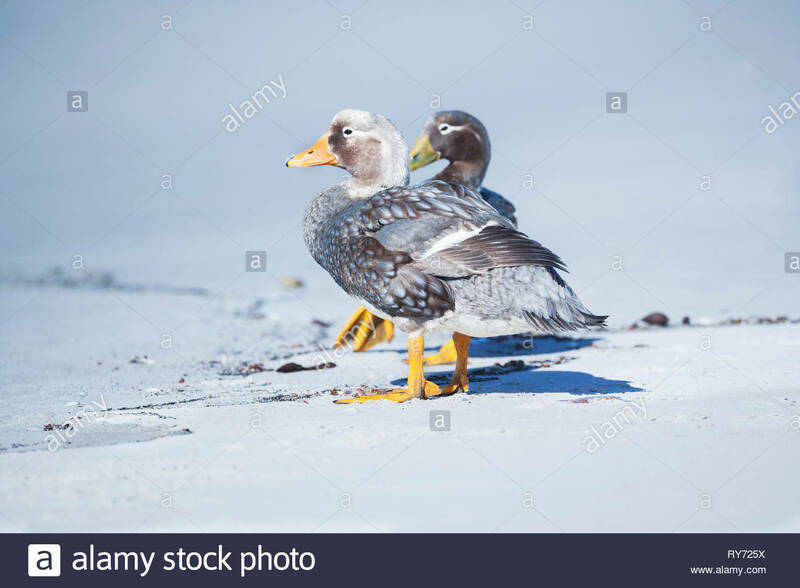 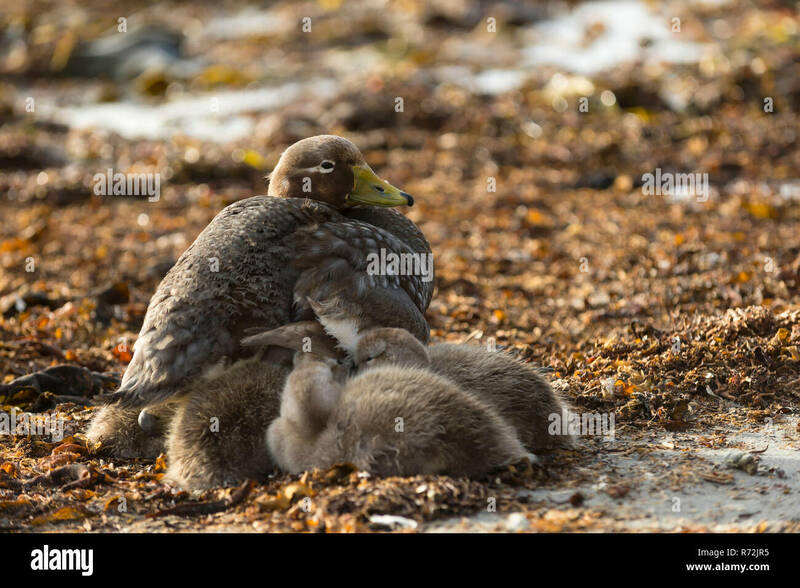 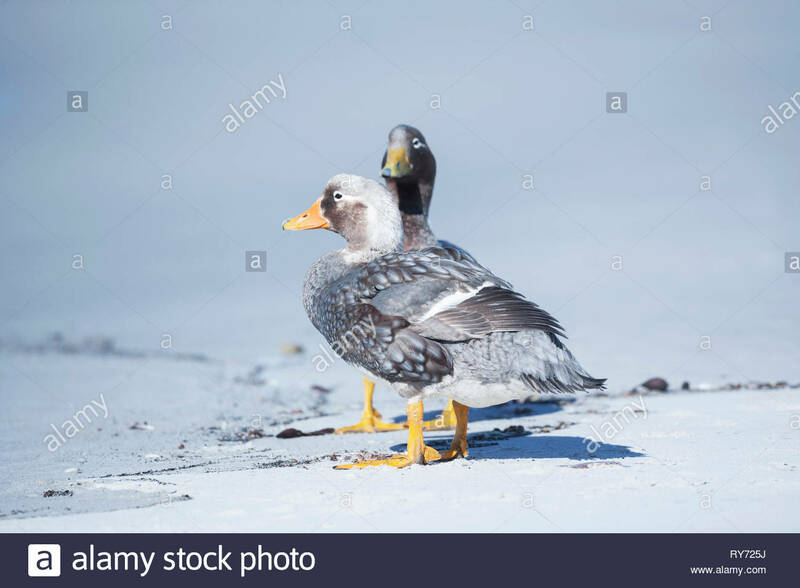 Female flightless steamer duck (Tachyeres brachypterus) with young. 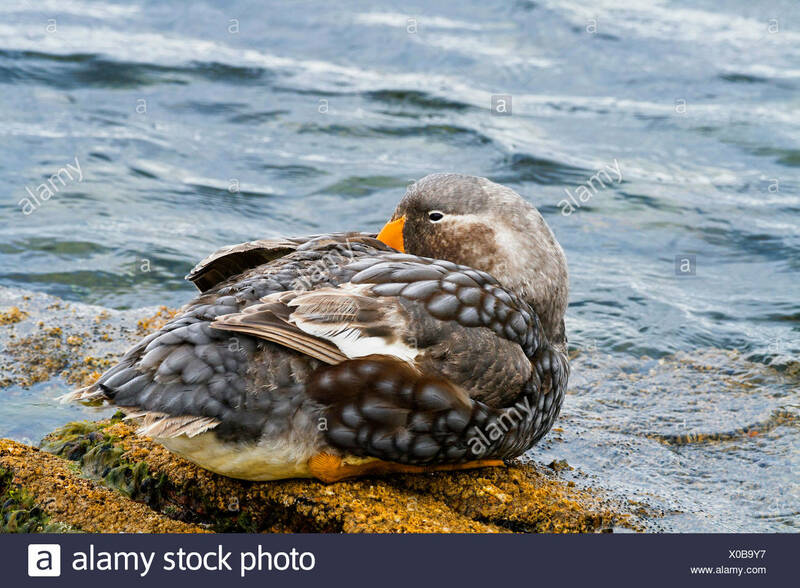 Falkland Steamer Duck, New Island, Falkland Islands. 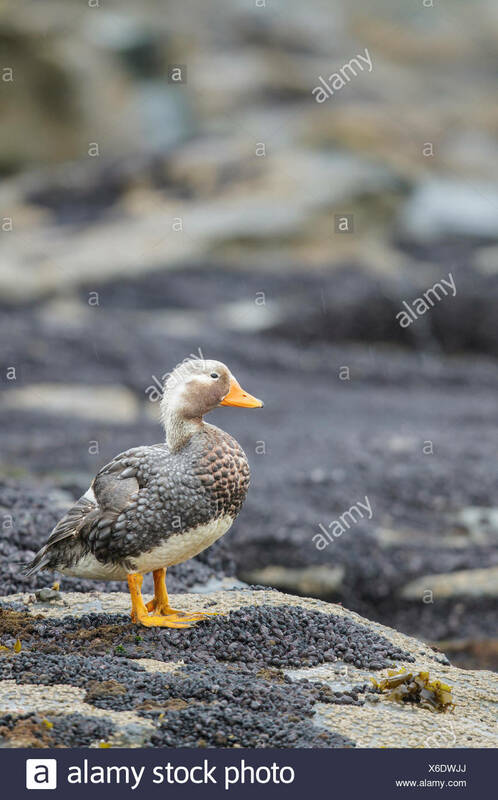 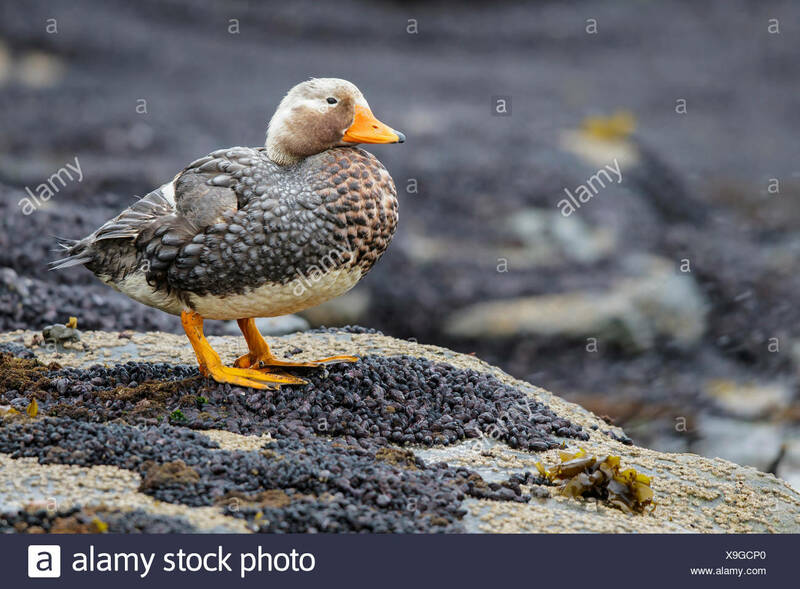 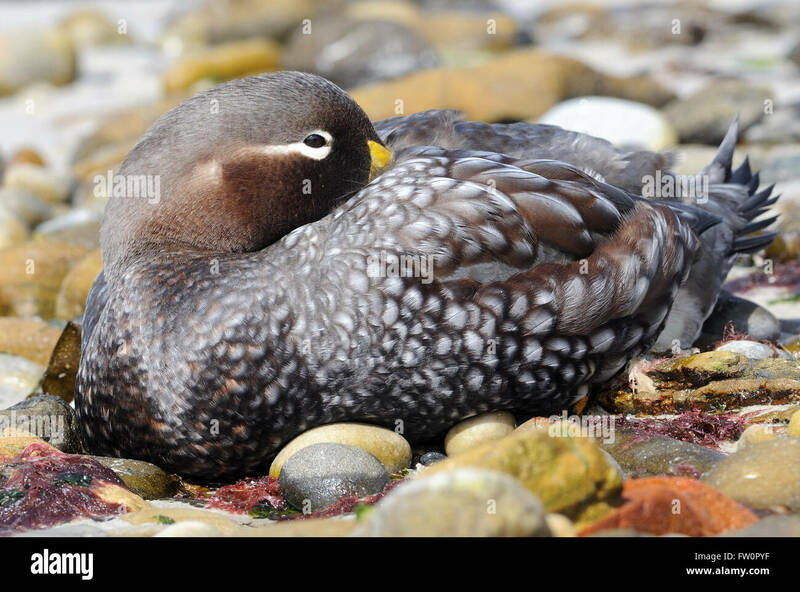 Falkland (Flightless) Steamer-Duck (Tachyeres brachypterus) perched on a rock in the Falkland Islands. 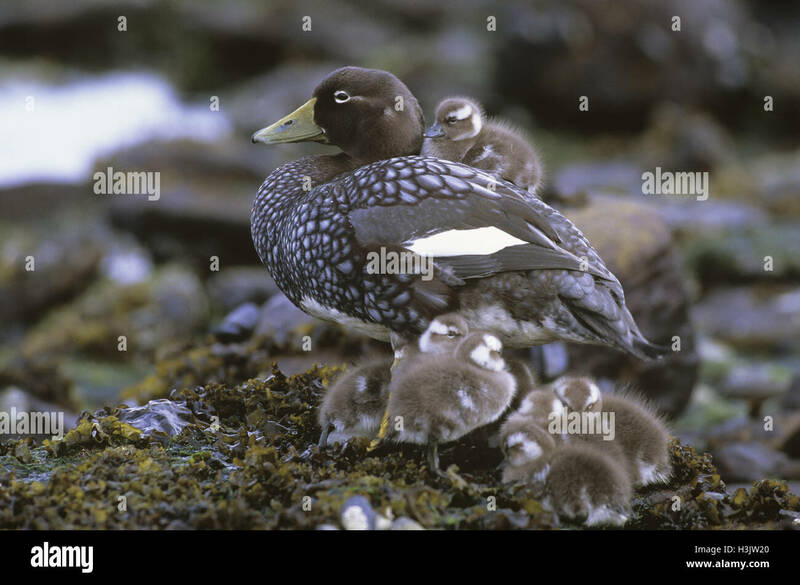 A brood of Steamer duck and her chicks. 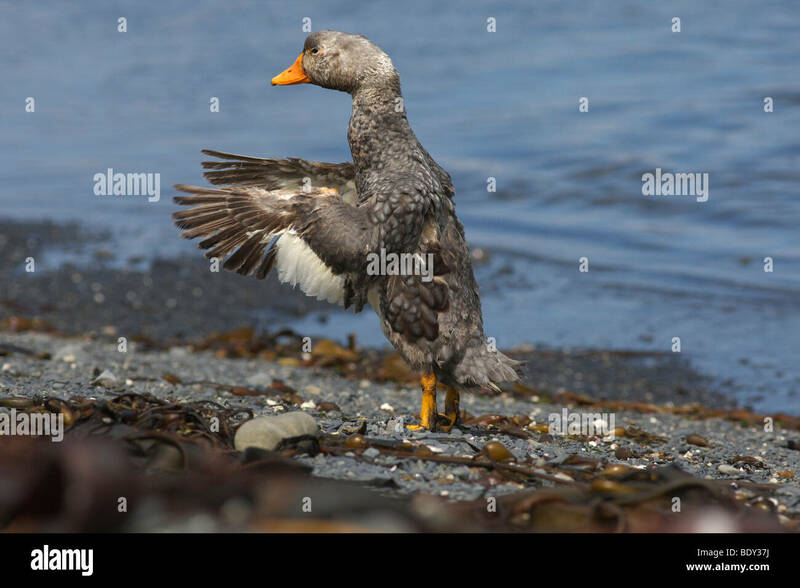 Falkland Steamer Duck (Tachyeres brachypterus) a flightless endemic of the Falkland Islands. 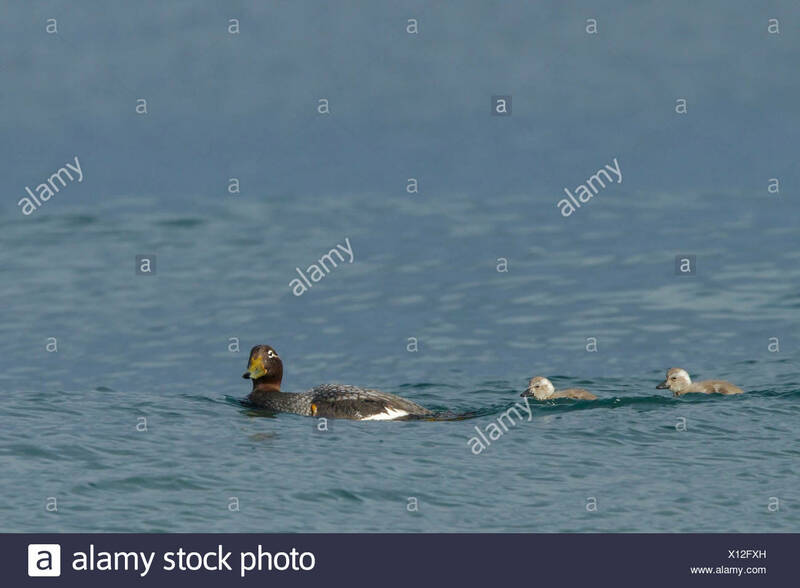 Group of Falkland Steamer Ducks, Sea Lion Island, Falkland Islands. 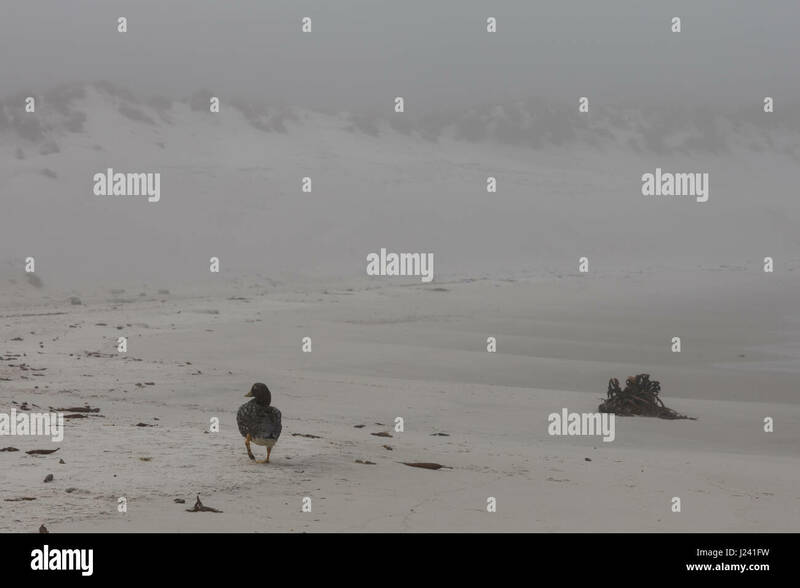 Falkland Islands, Sea Lion Island. 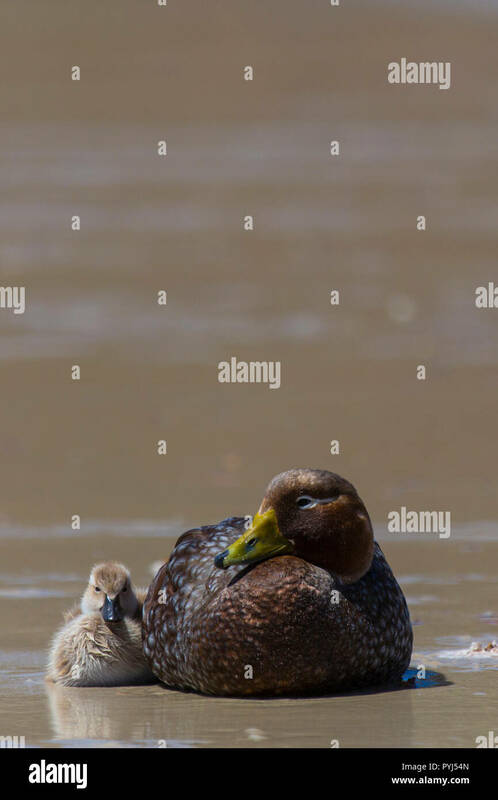 Female flightless steamer duck (Tachyeres brachypterus) with young. 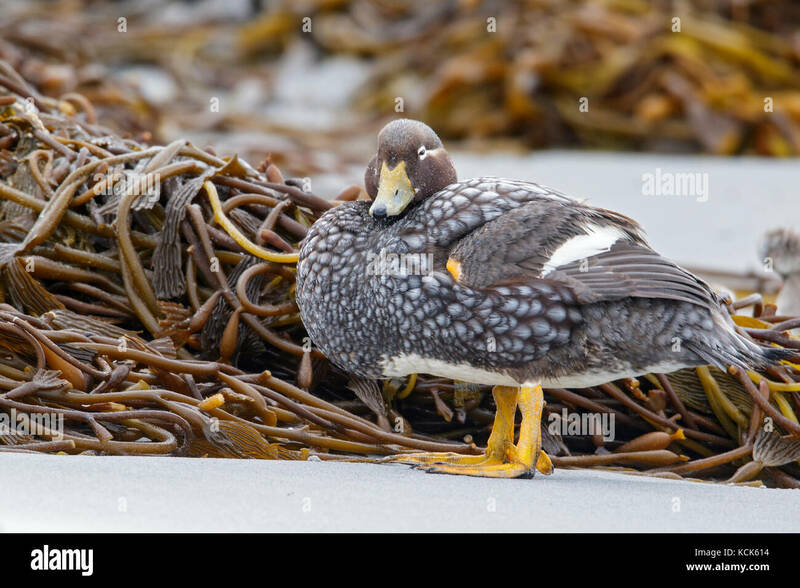 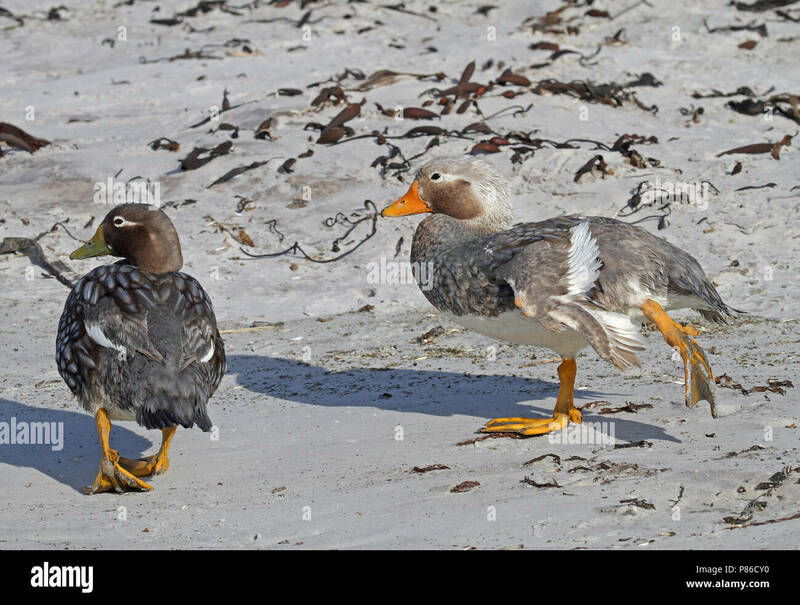 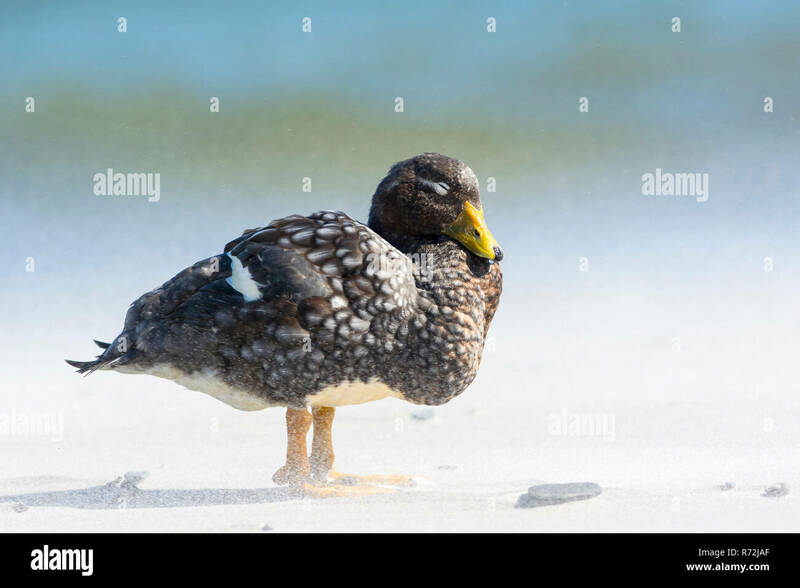 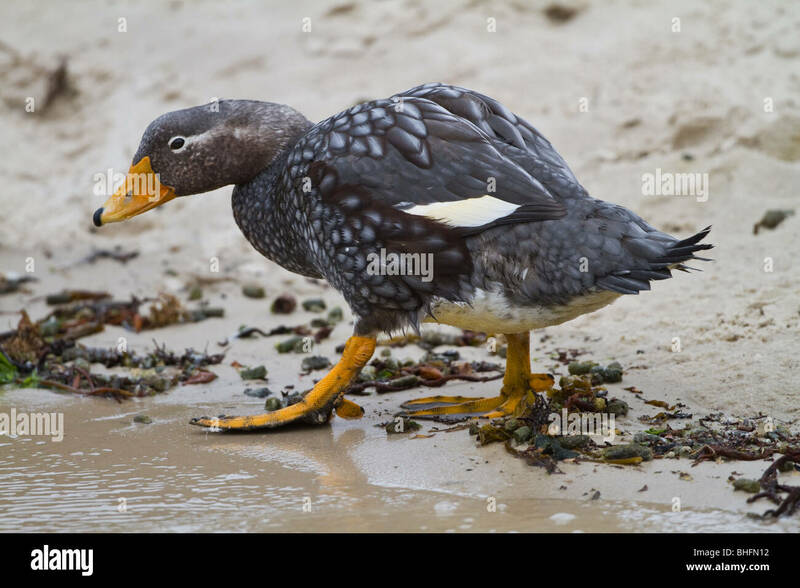 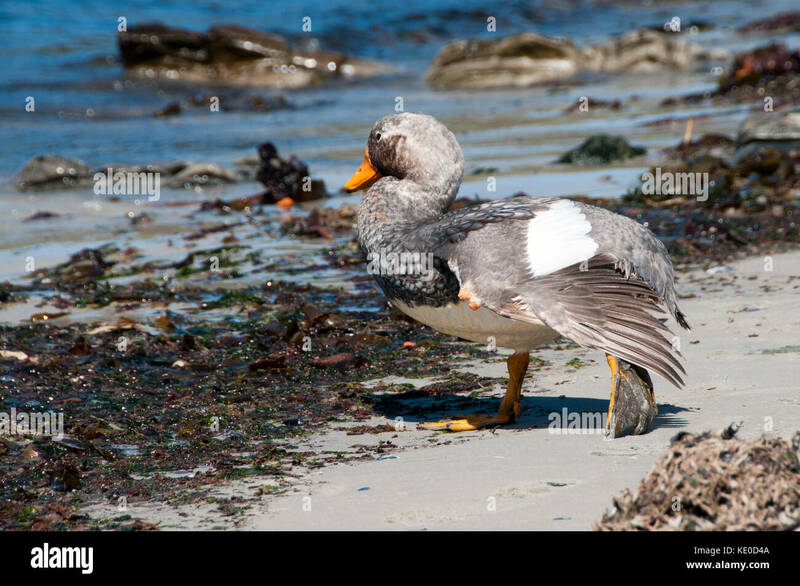 A Falkland Steamer Duck or Logger (Tachyeres brachypterus) on the beach at Carcass Island. . Carcass Island, Falkland Islands. 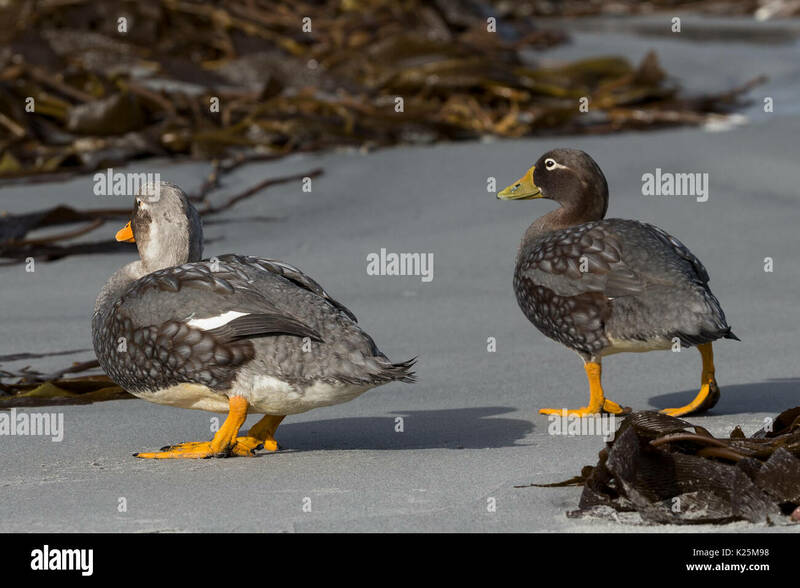 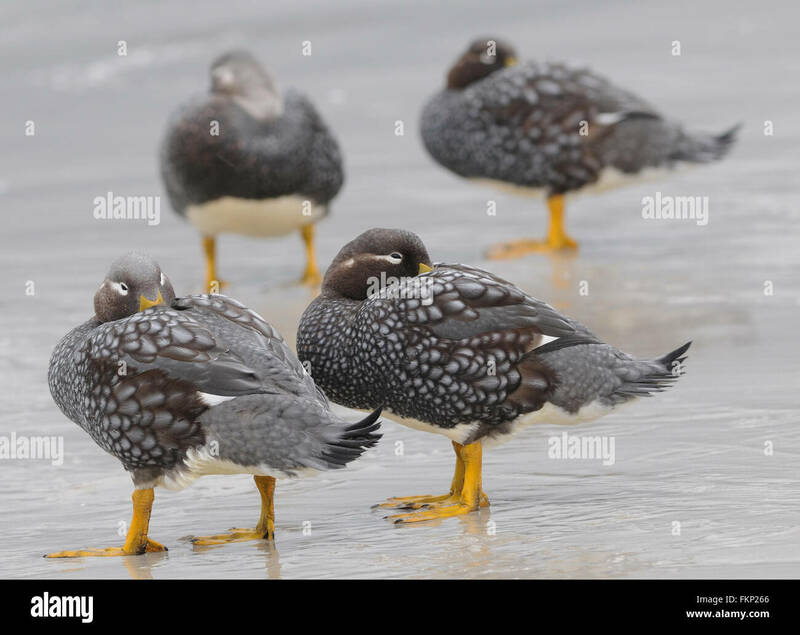 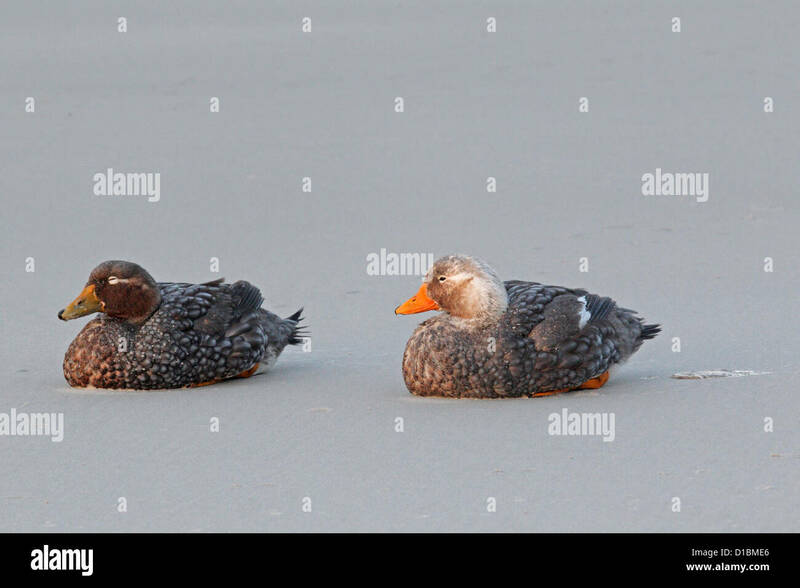 Falkland Steamer Ducks or Loggers (Tachyeres brachypterus) on the beach at Carcass Island. . Carcass Island, Falkland Islands. 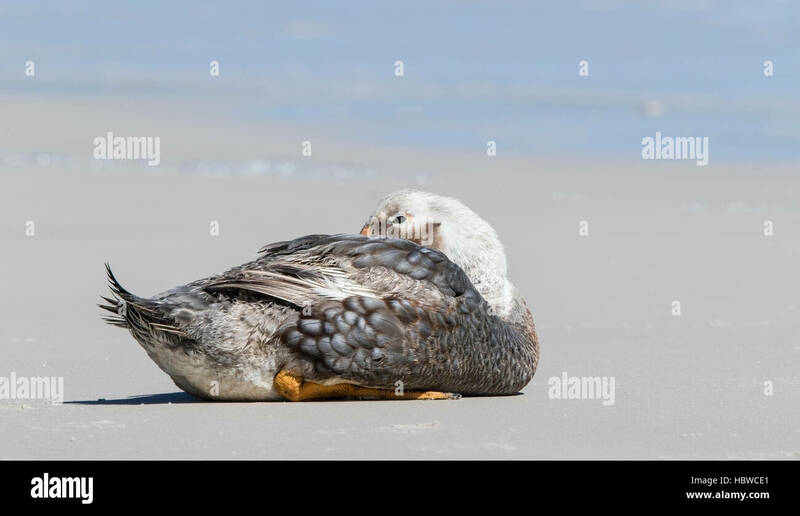 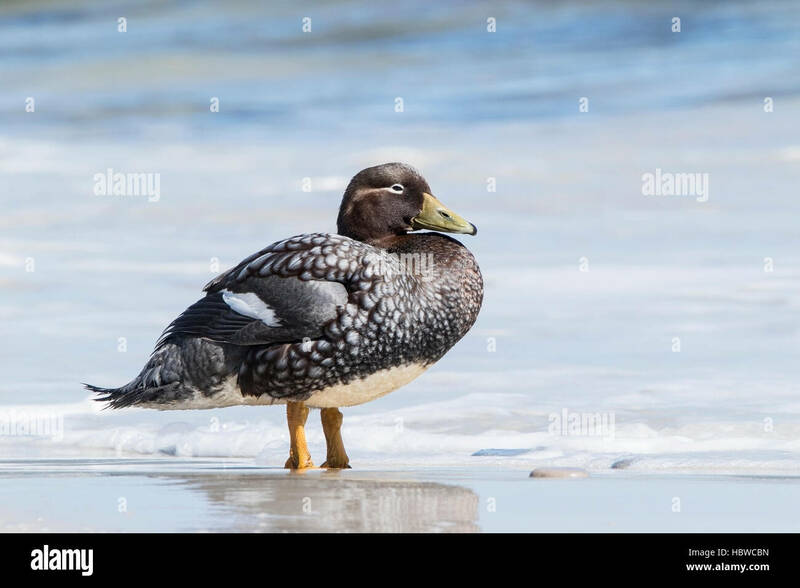 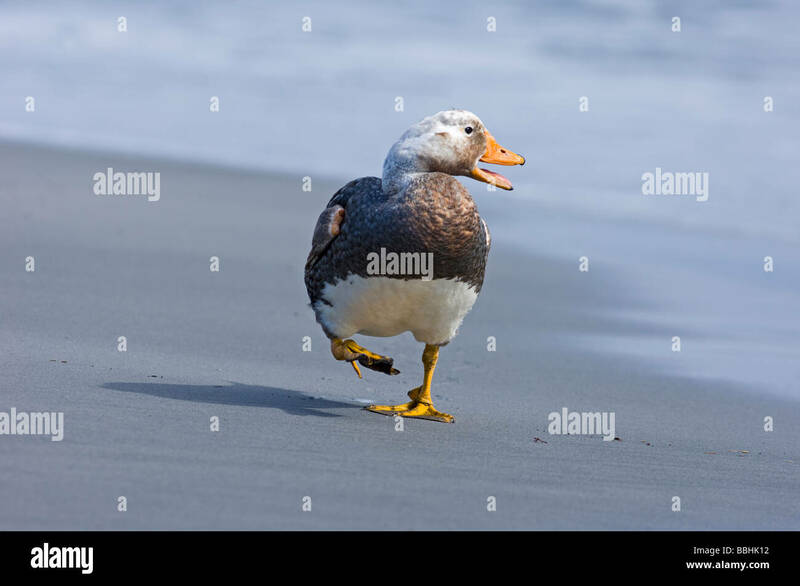 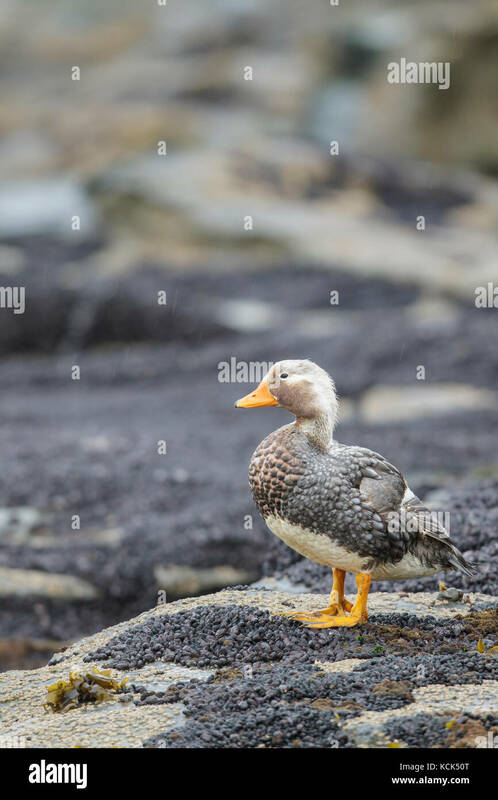 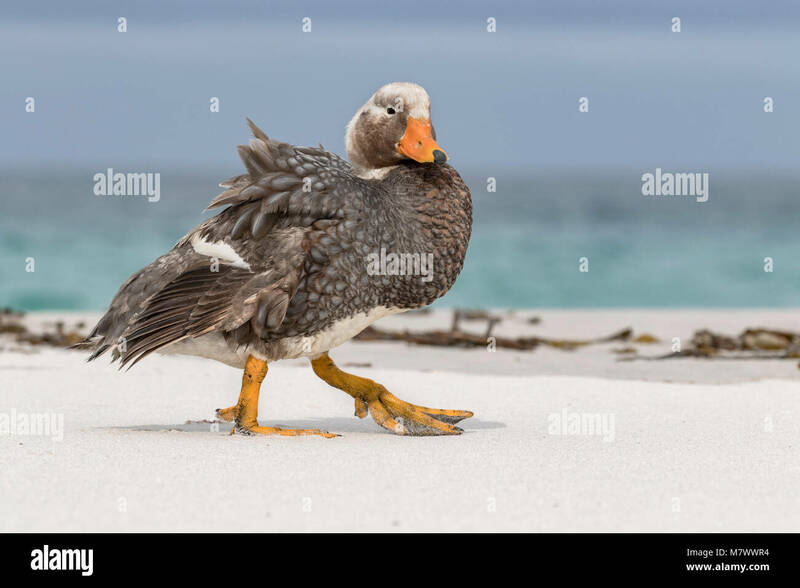 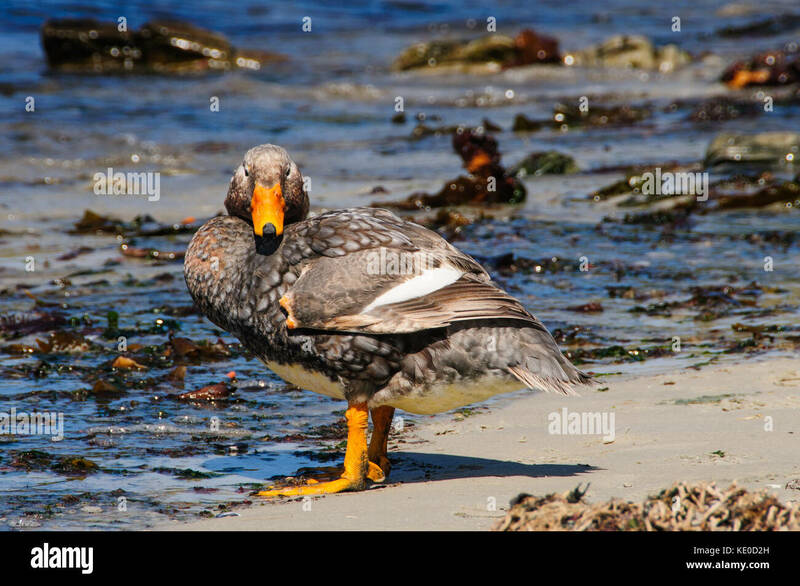 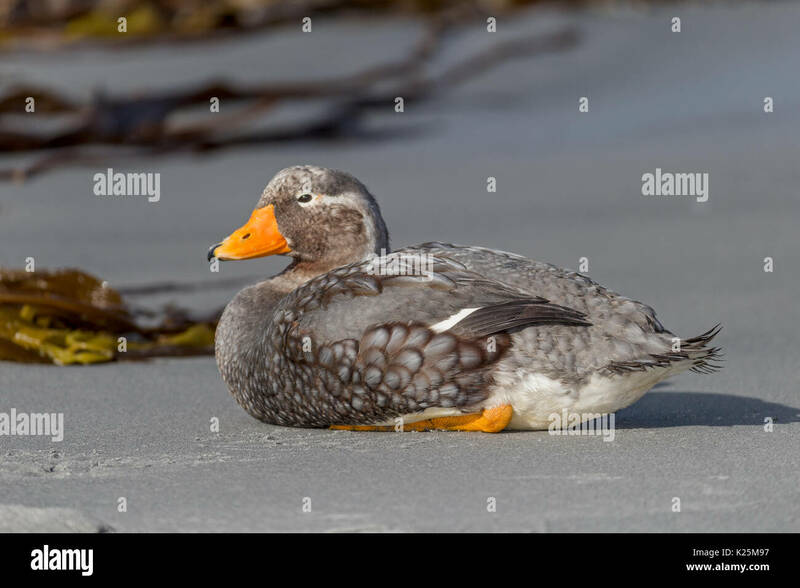 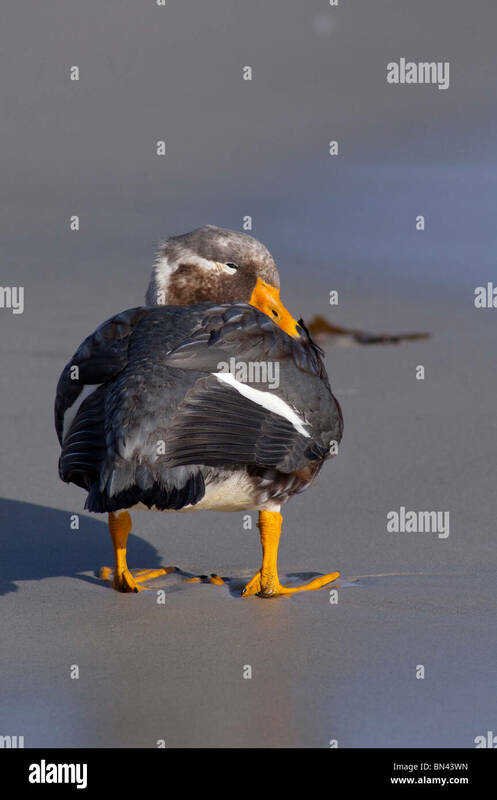 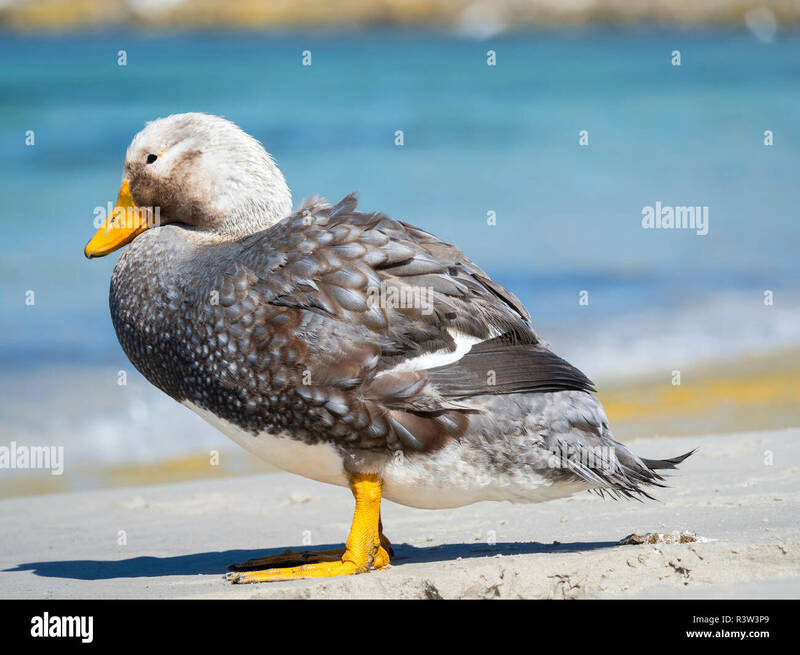 An endemic Flightless Steamer Duck (Tachyeres brachypterus) of the Falkland Islands (Malvinas) on the beach of New Island.